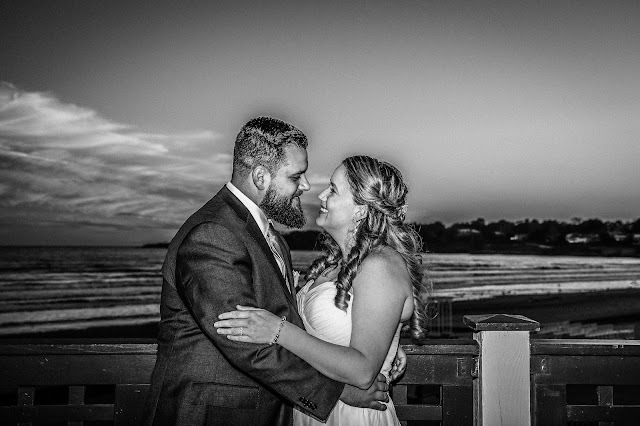 After our ceremony we had some portraits planned. 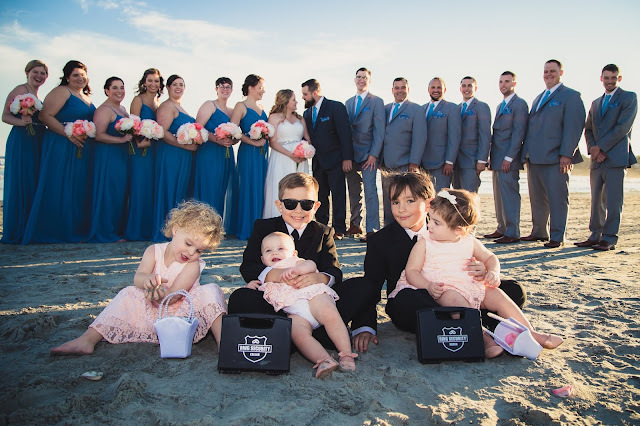 We did our best to keep it as concise as possible and didn't want to hold our bridal party up for too long. 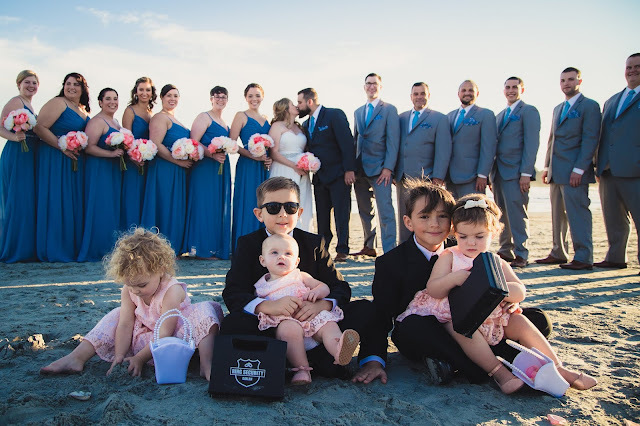 All the pictures in this post were taken by Carissa at Ella Grace Photography, please do not copy or alter her work in any way. 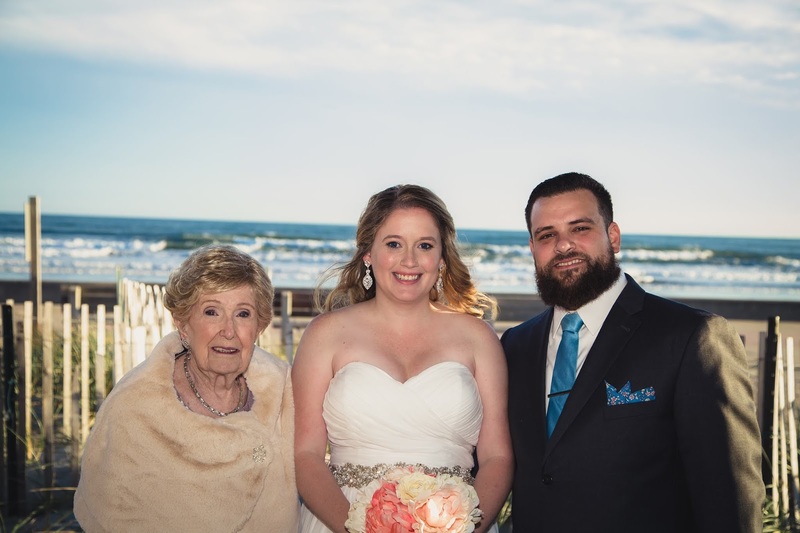 The first pictures we wanted to complete were with our grandparents. Here we are with my papa. We also took a few pictures with Tim's nana. 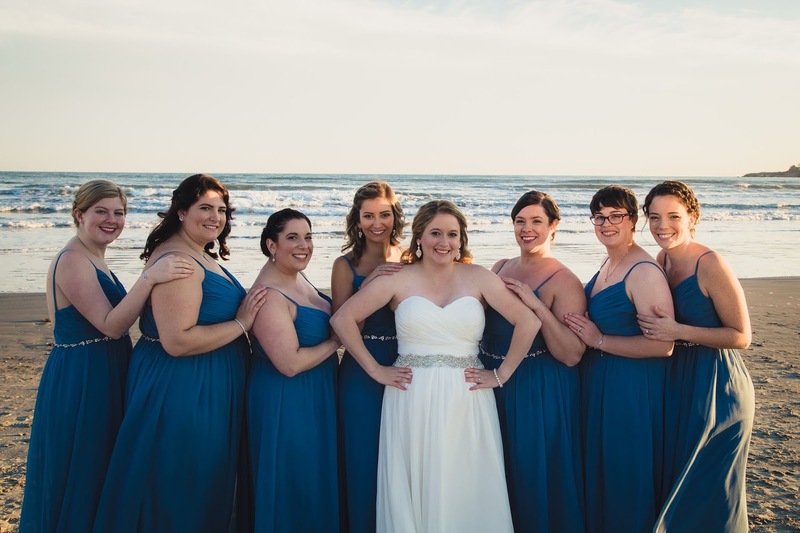 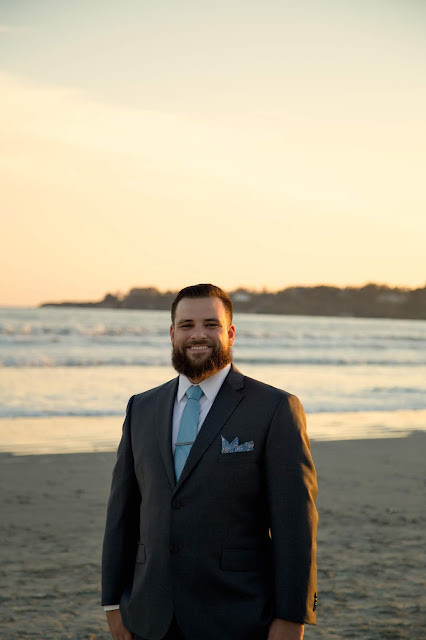 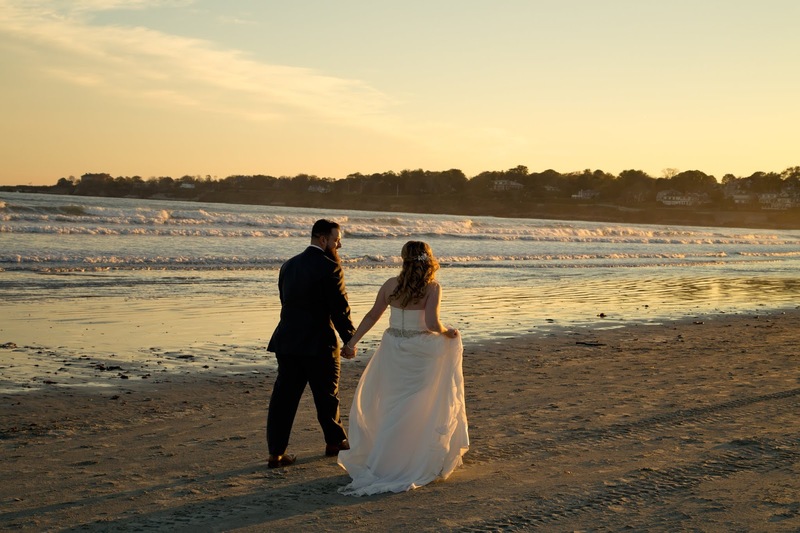 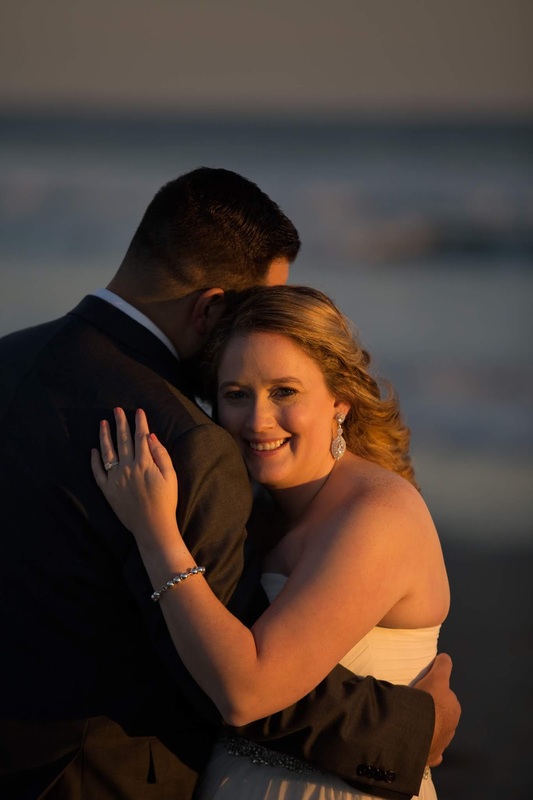 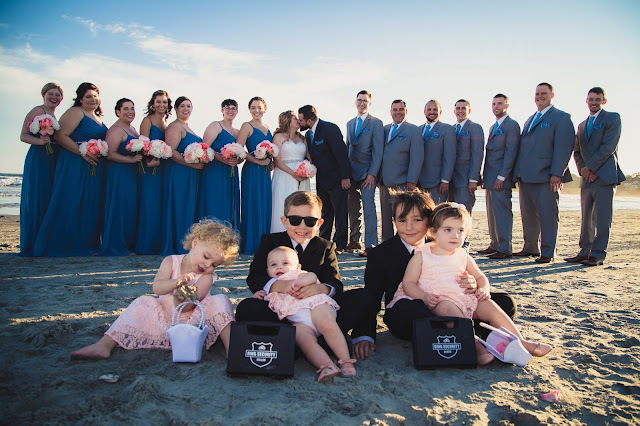 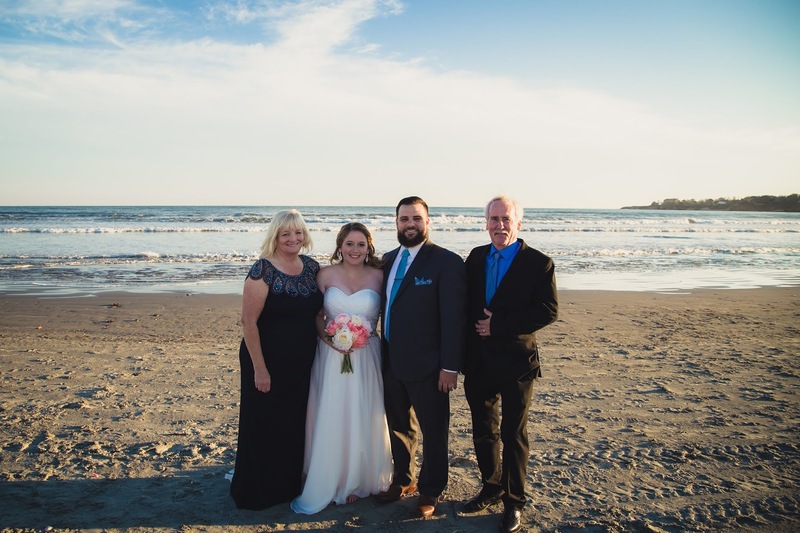 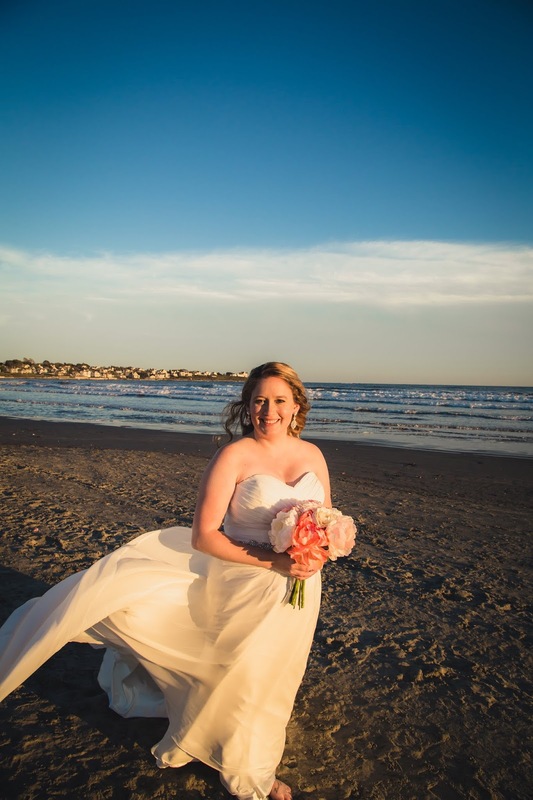 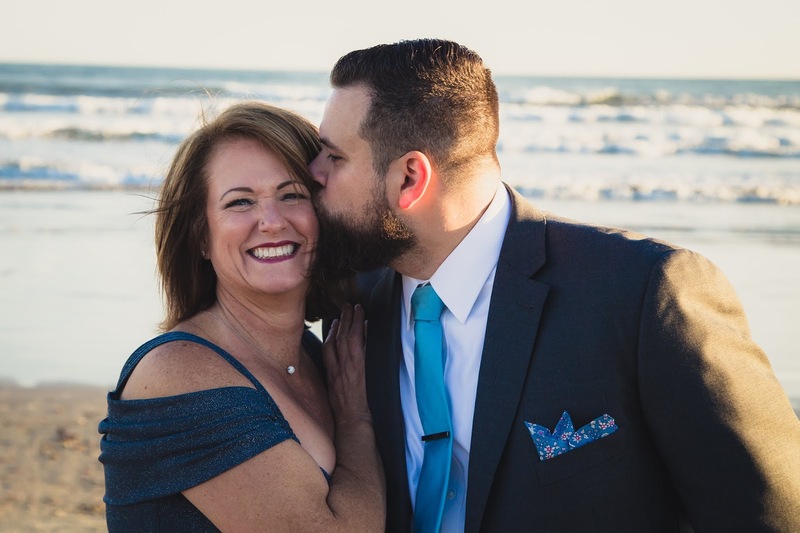 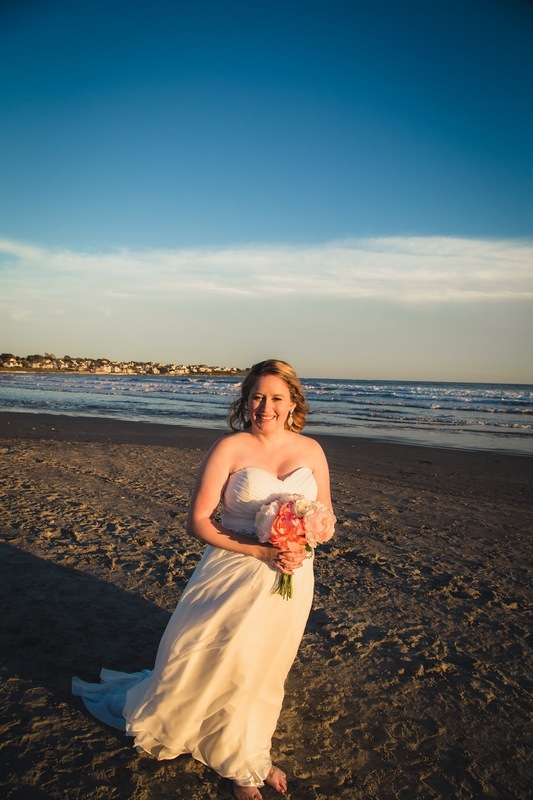 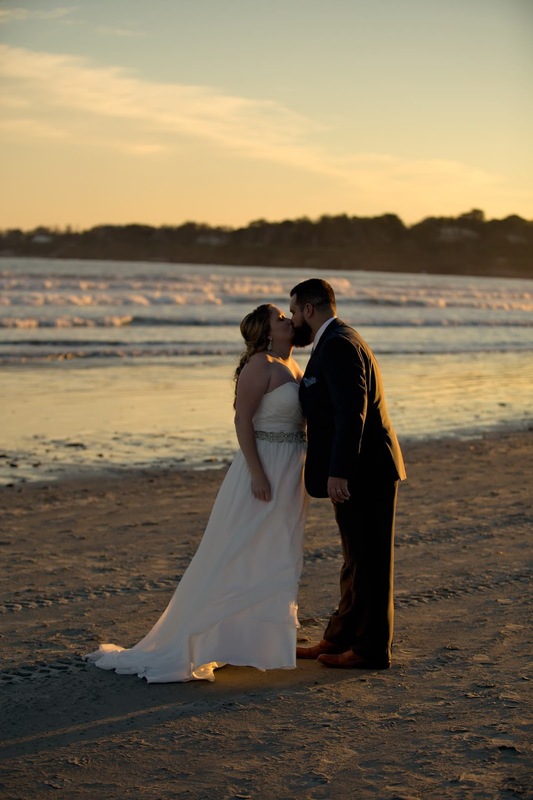 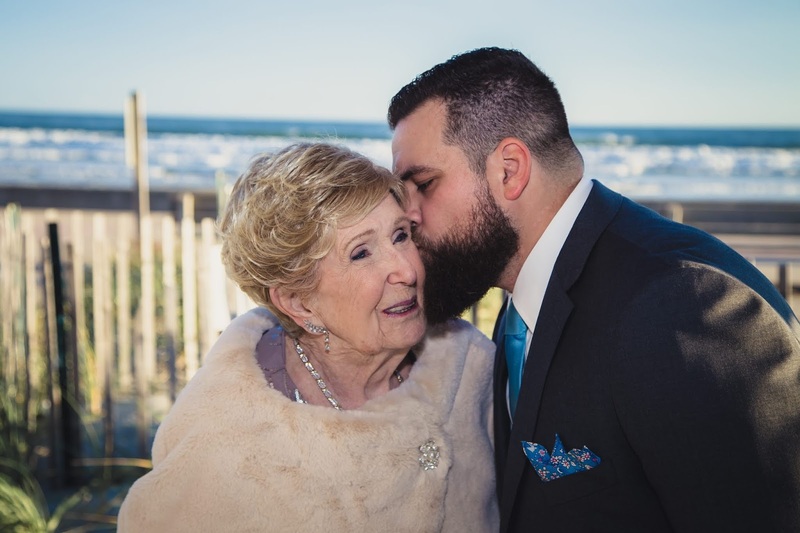 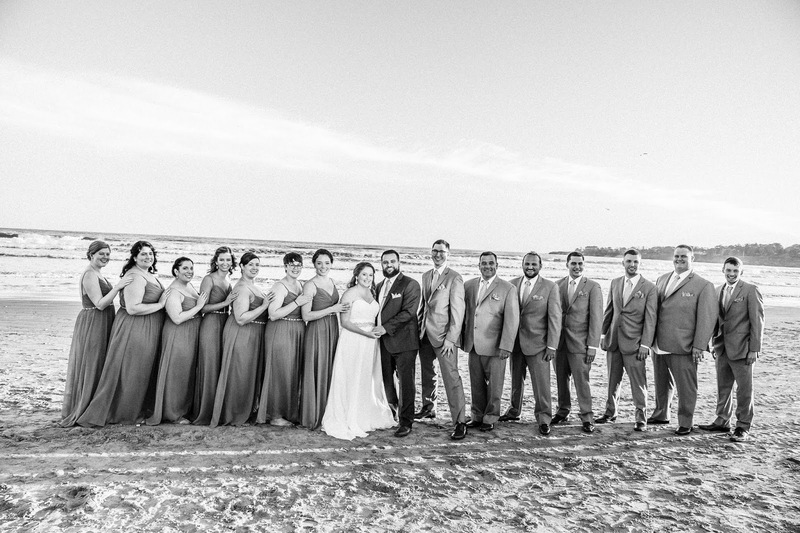 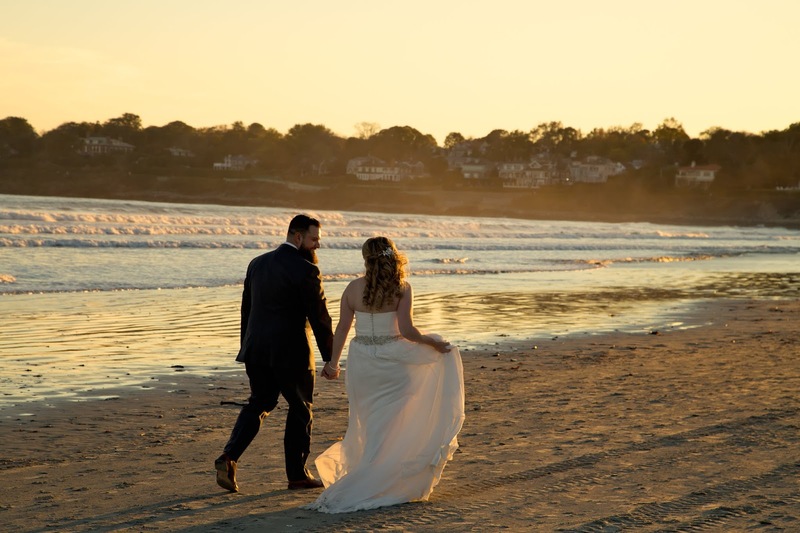 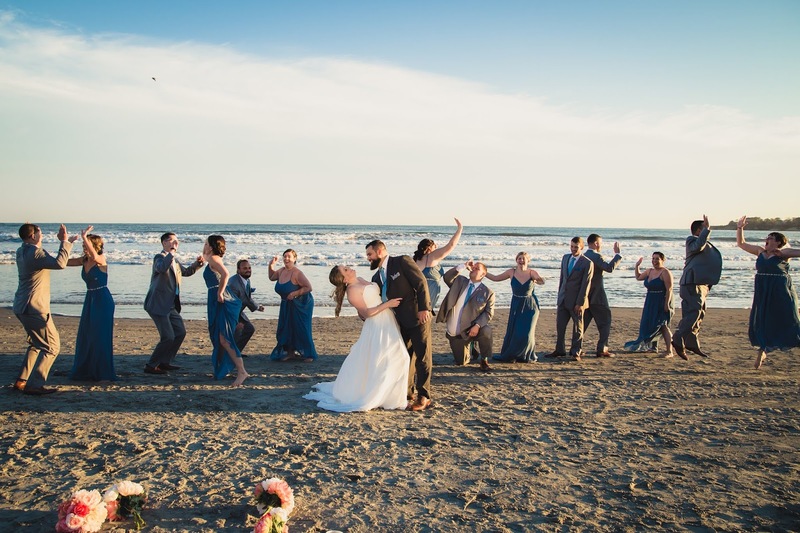 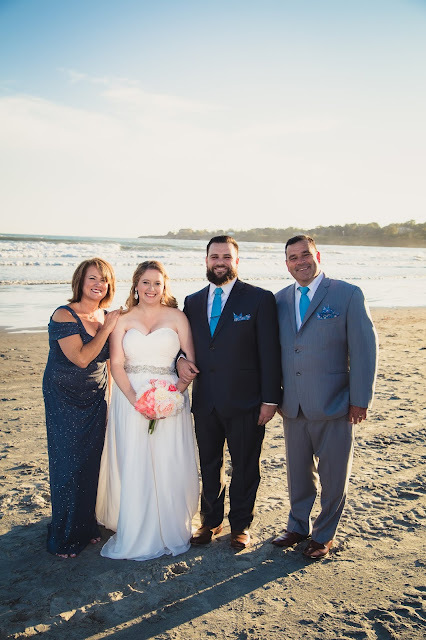 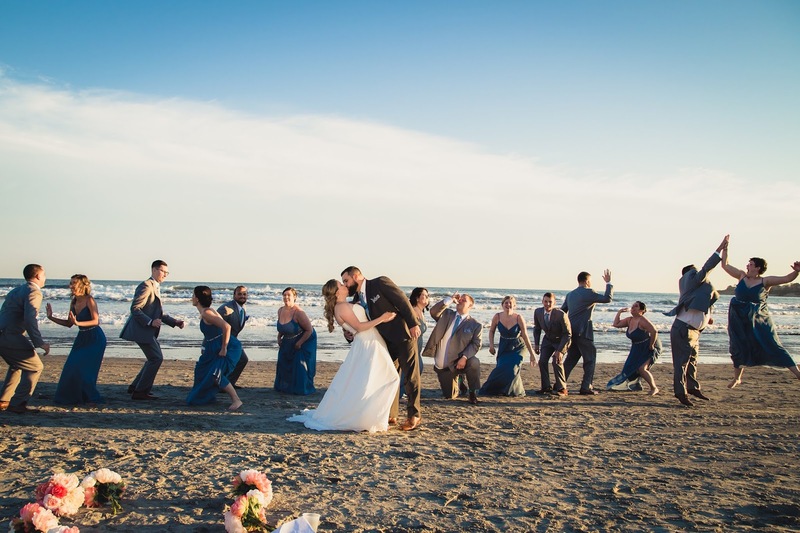 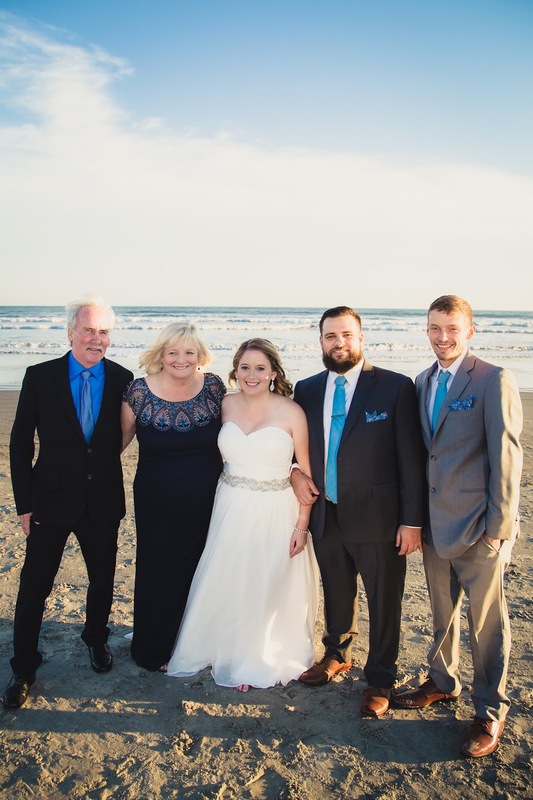 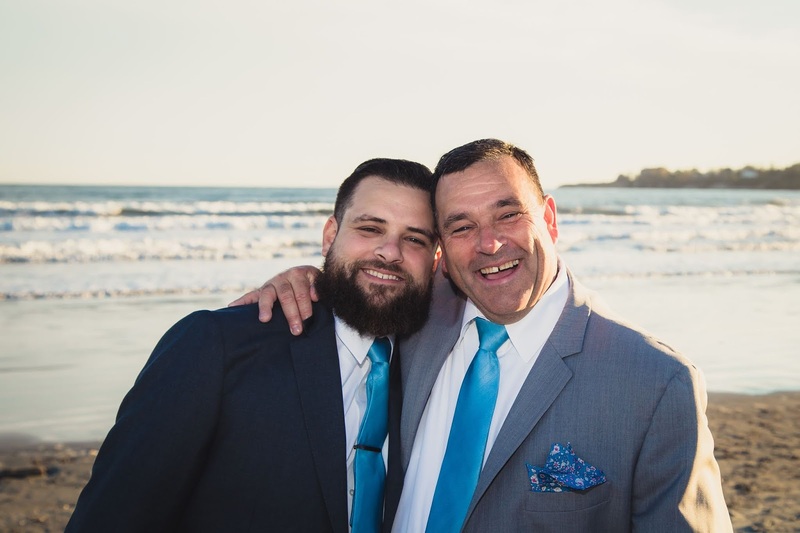 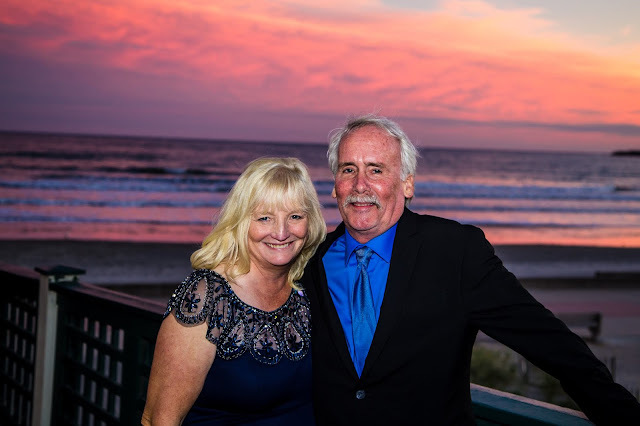 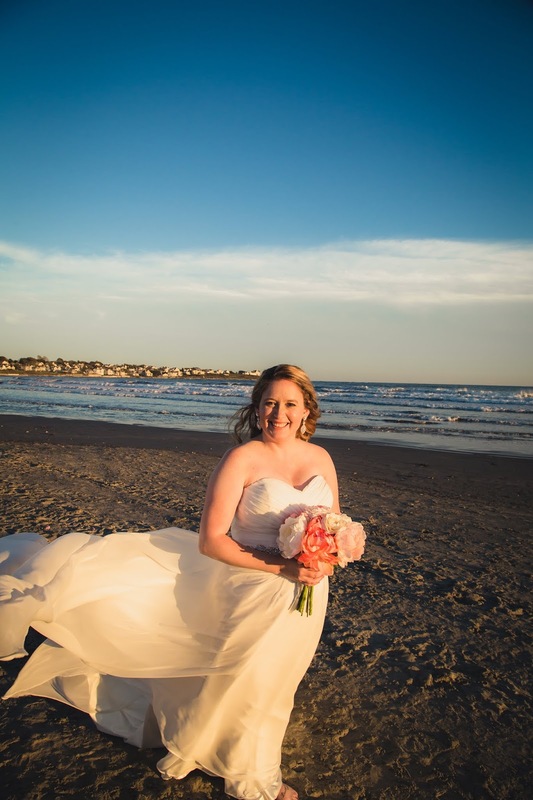 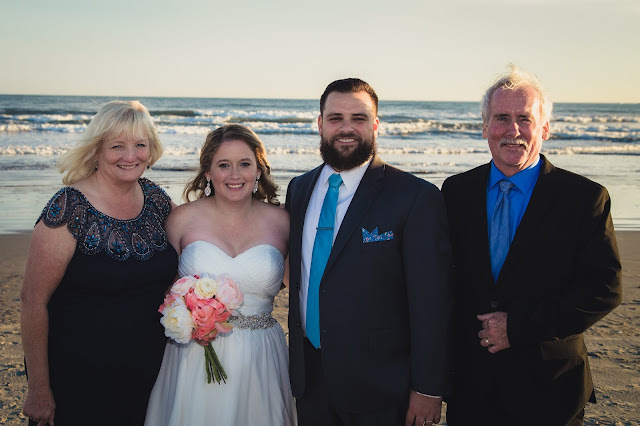 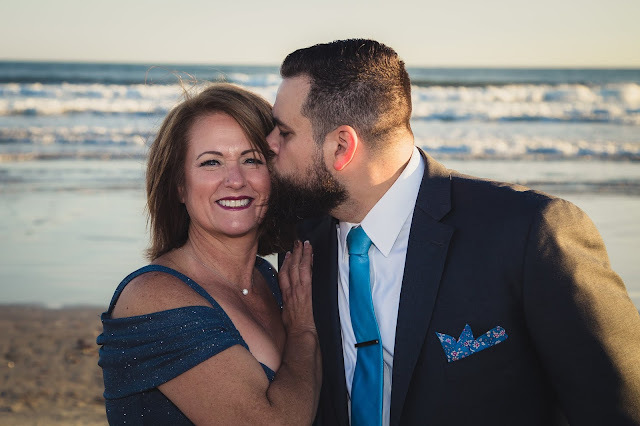 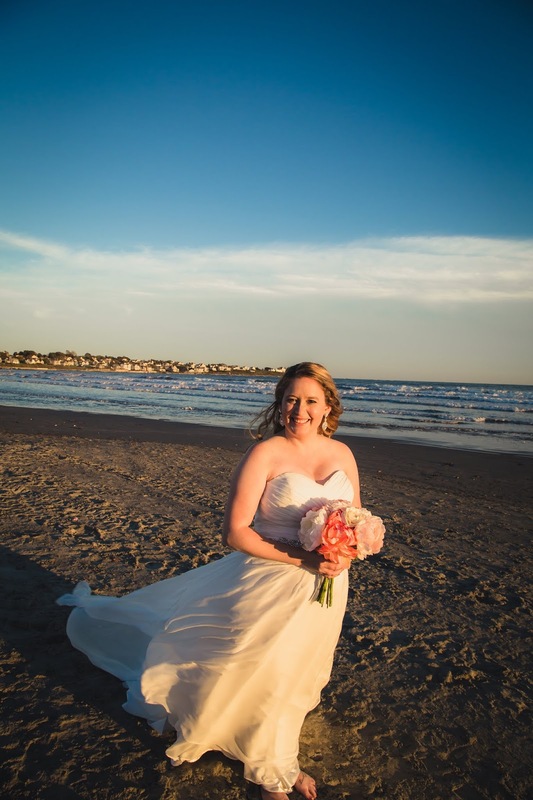 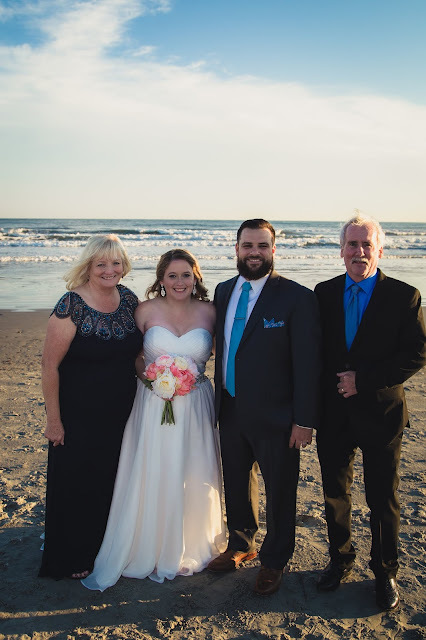 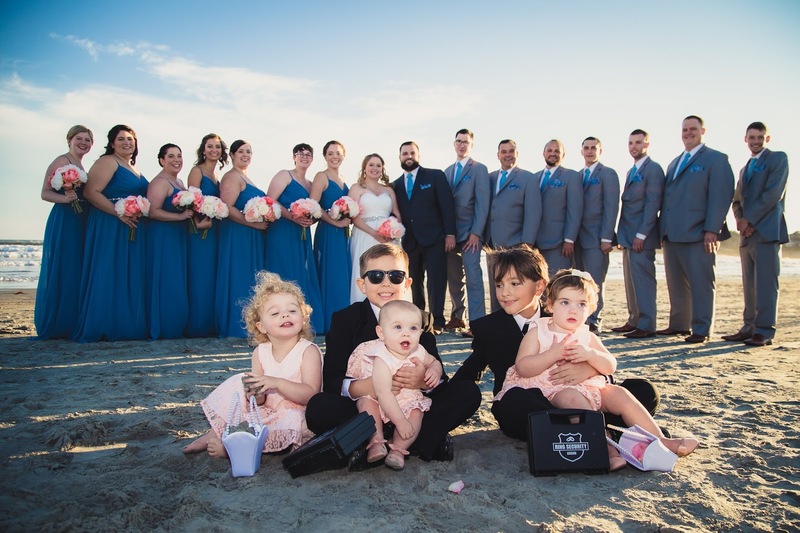 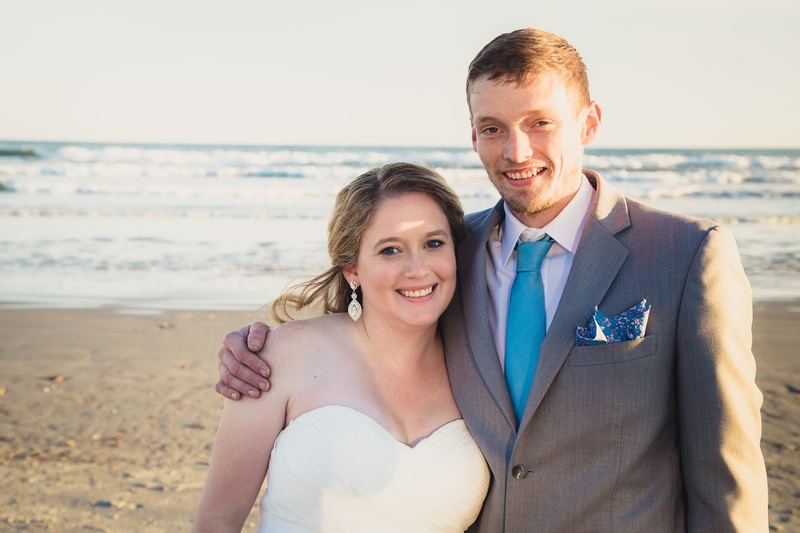 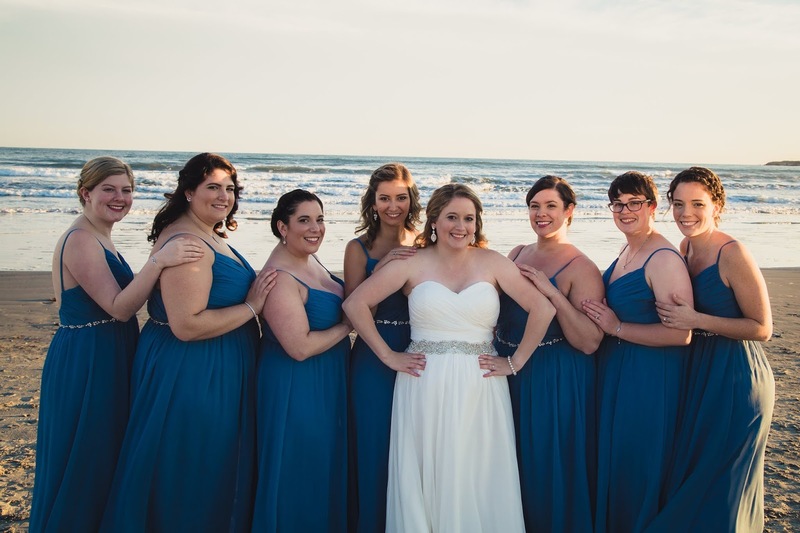 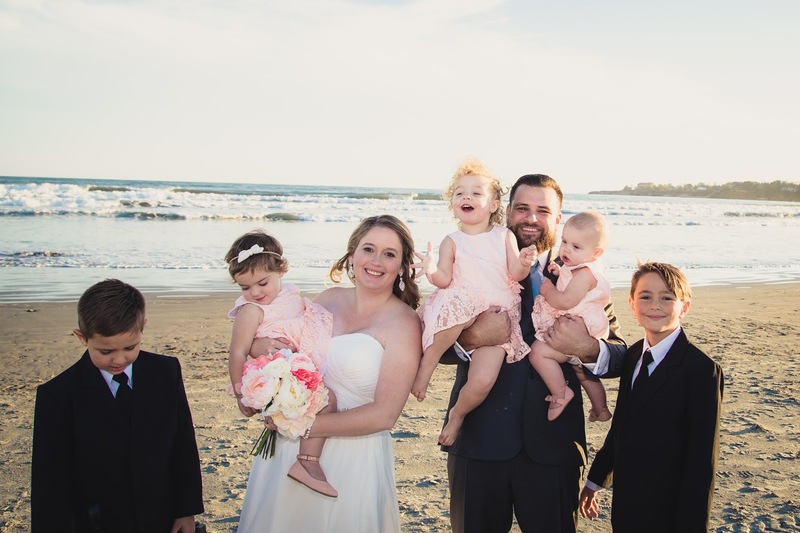 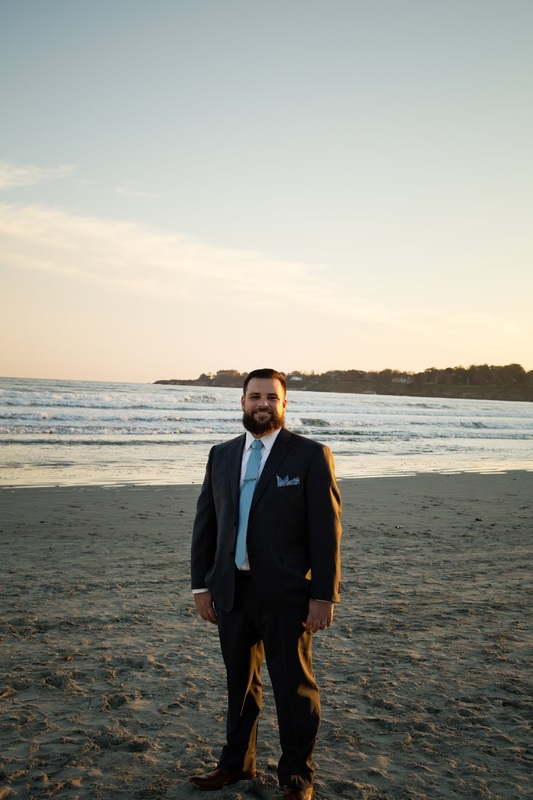 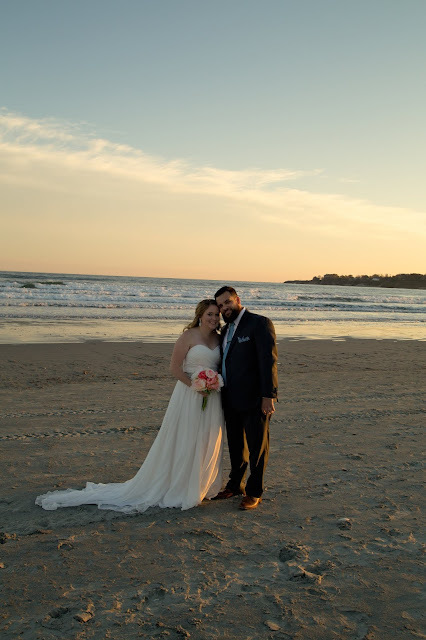 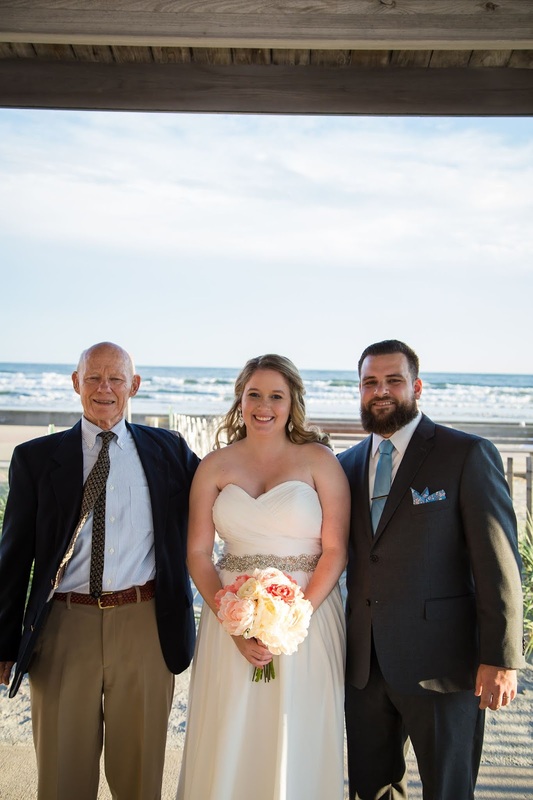 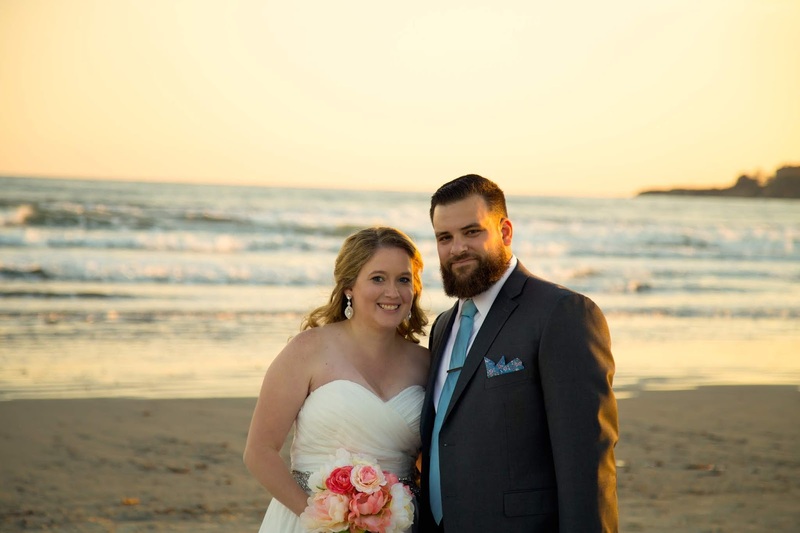 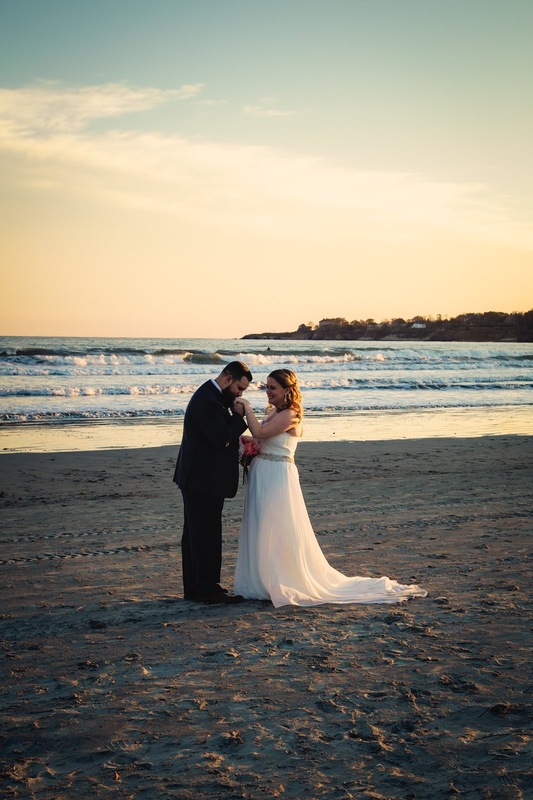 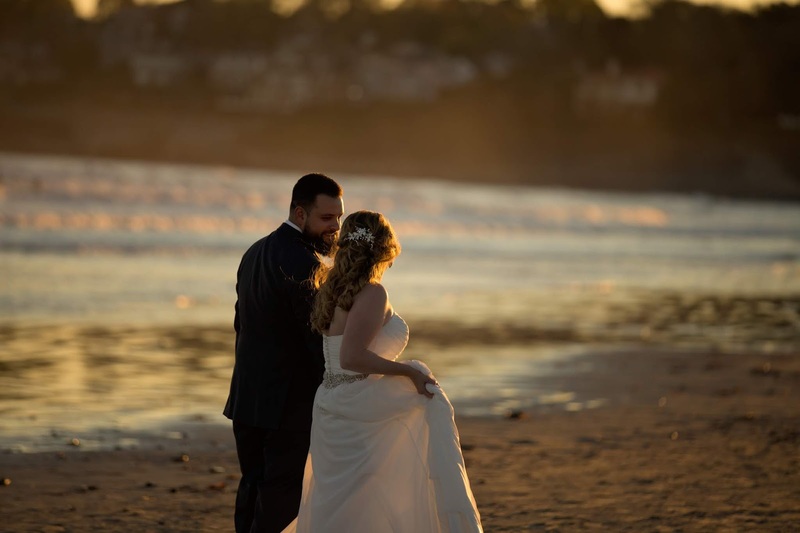 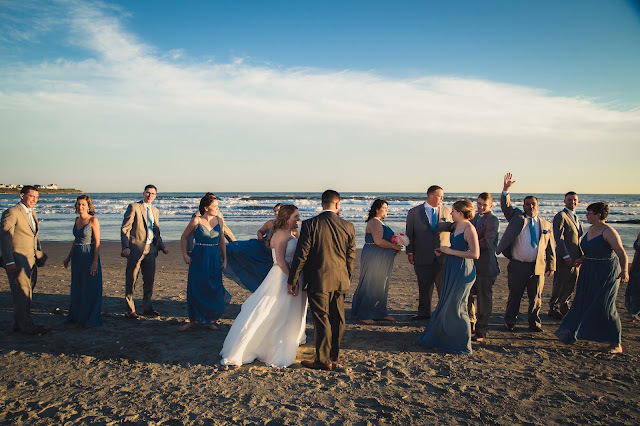 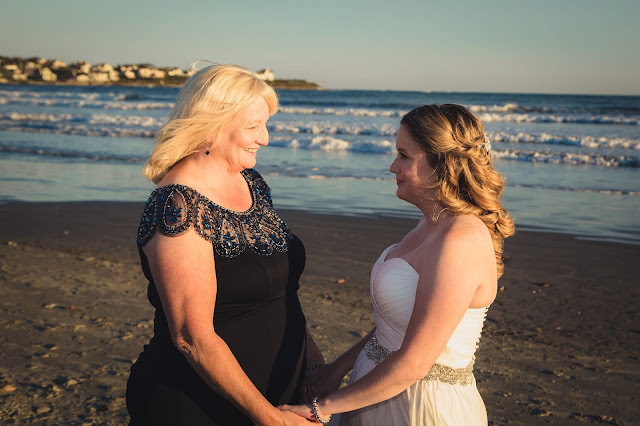 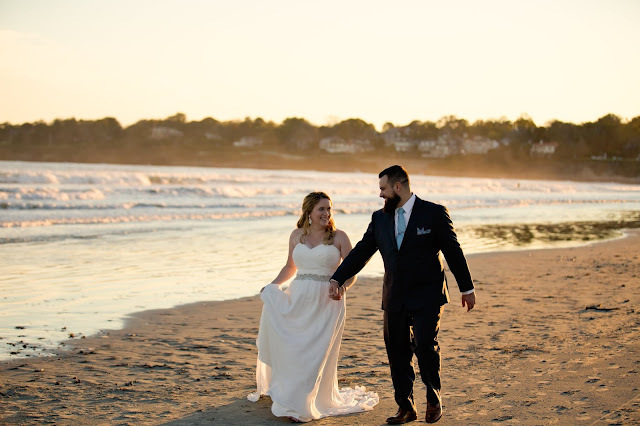 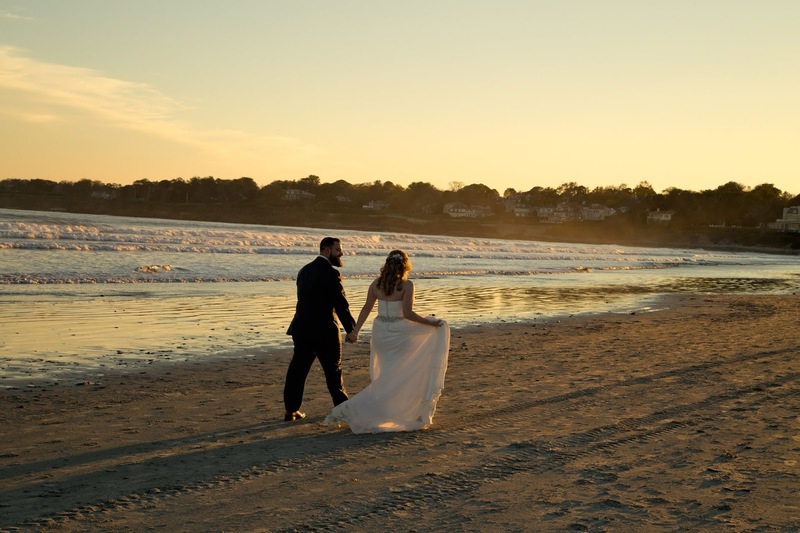 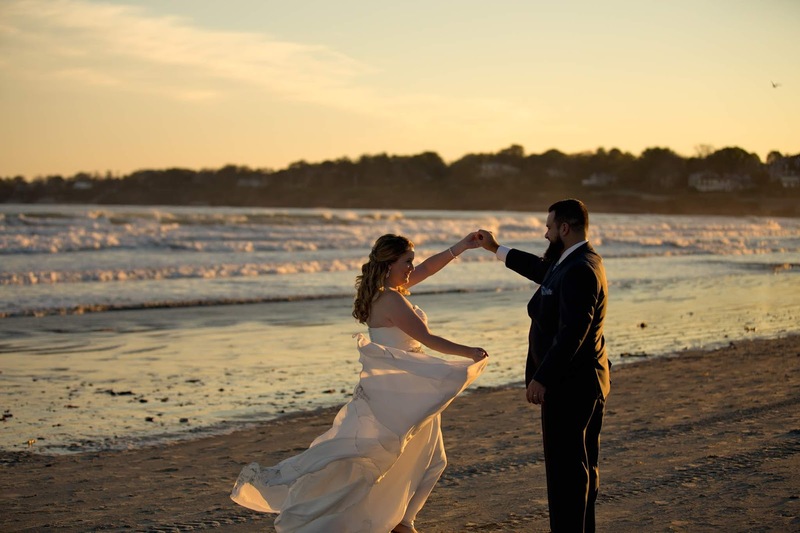 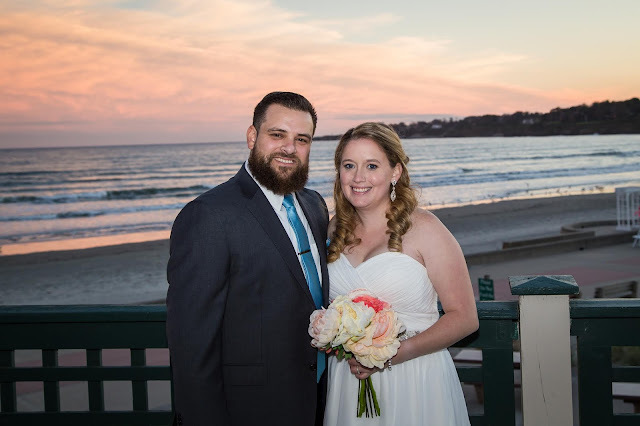 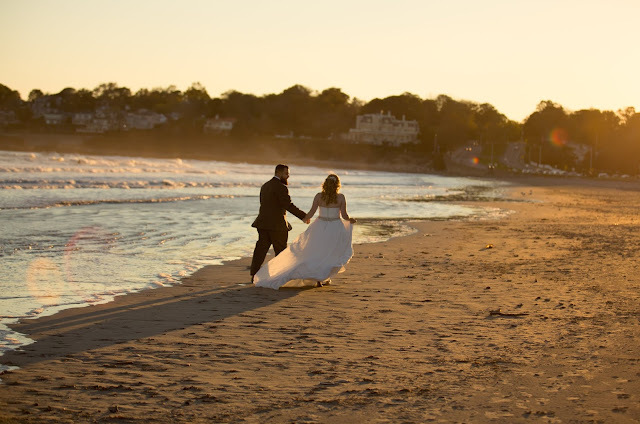 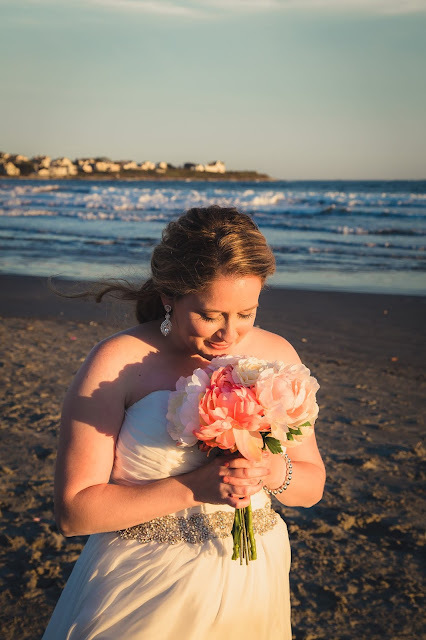 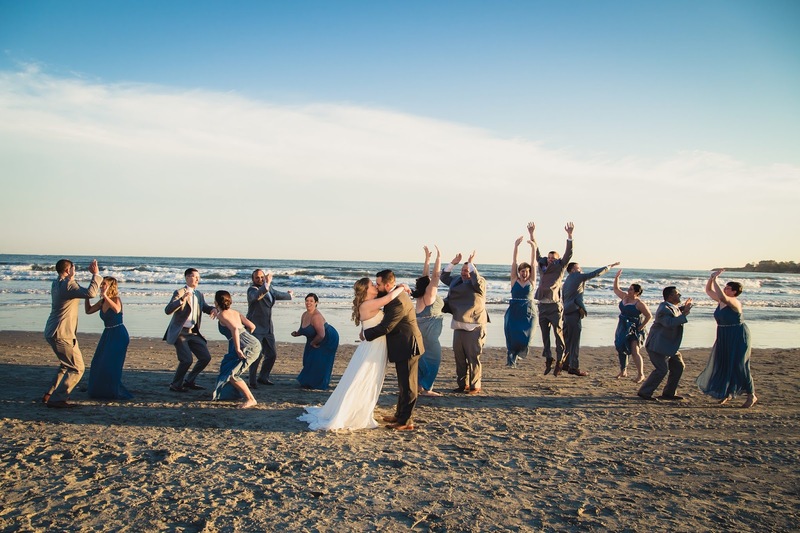 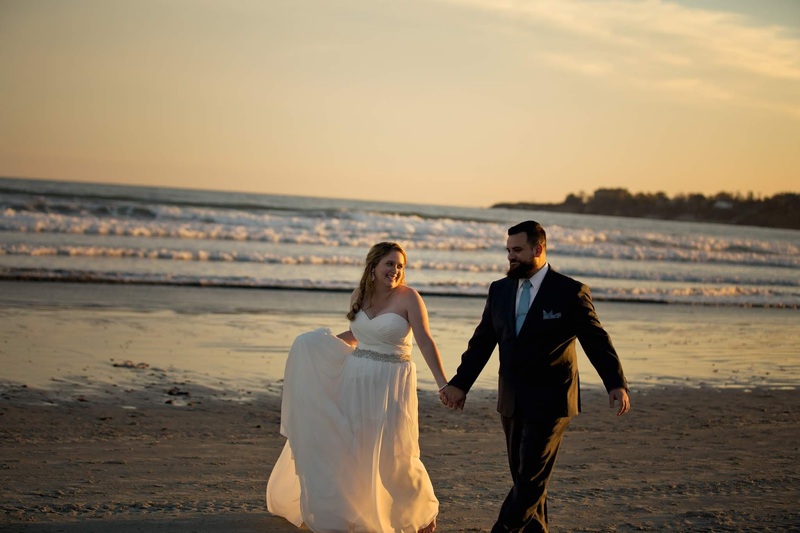 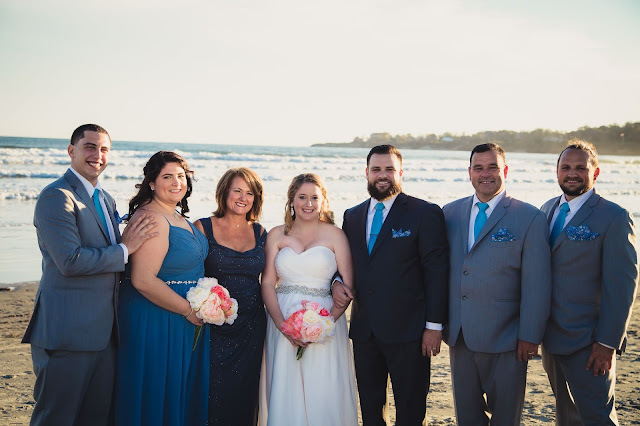 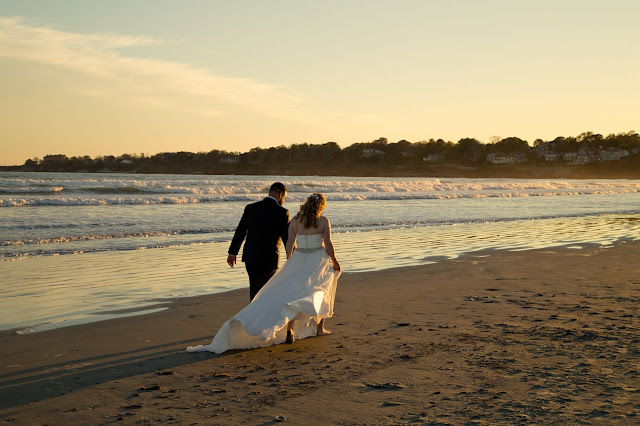 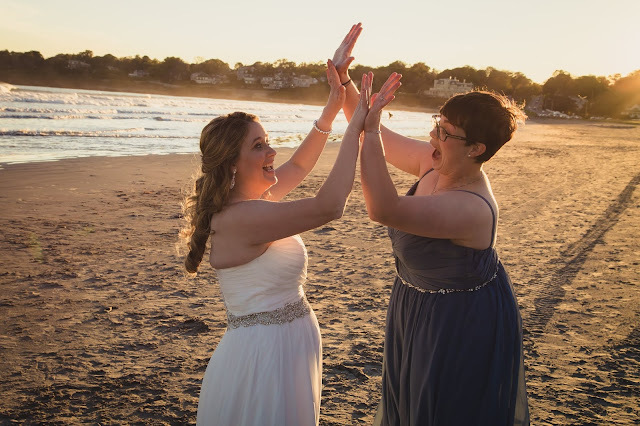 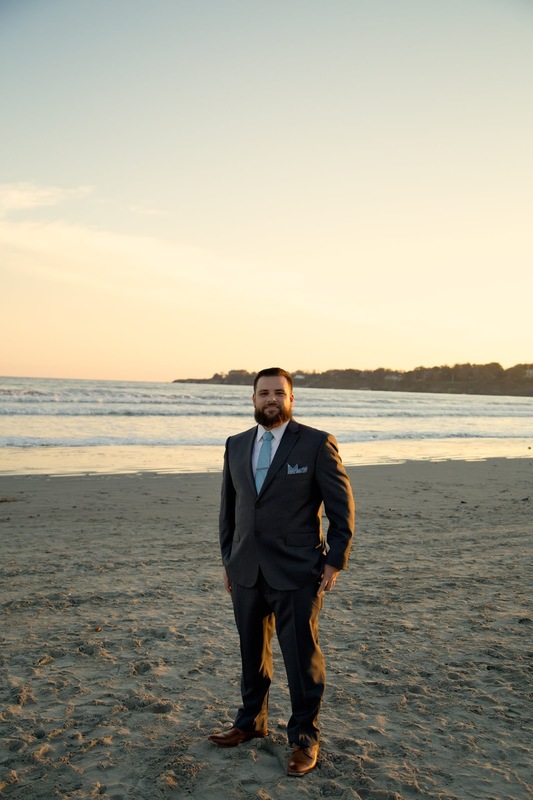 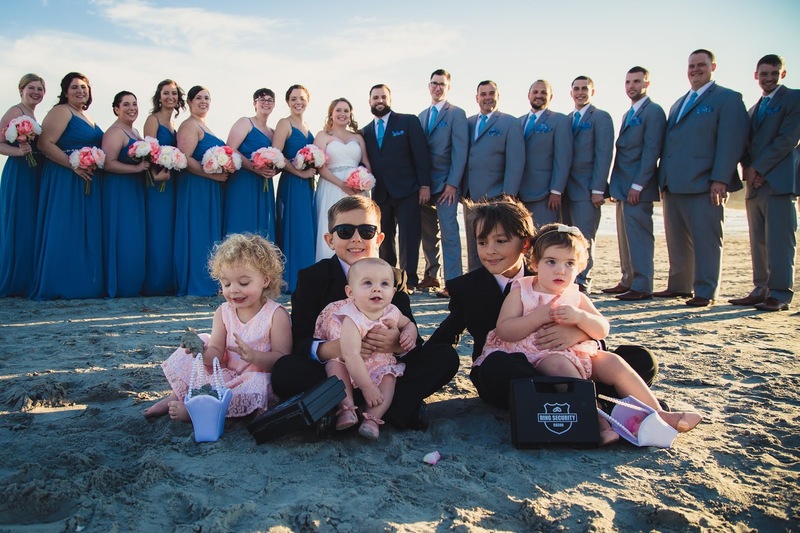 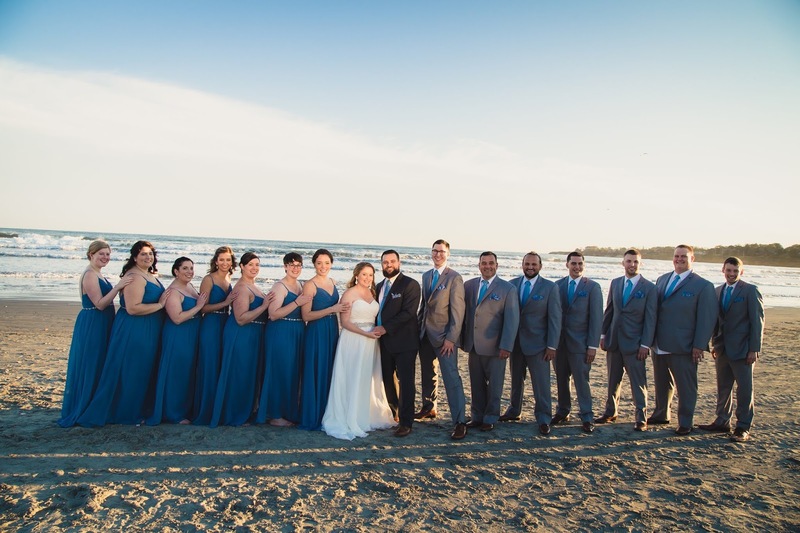 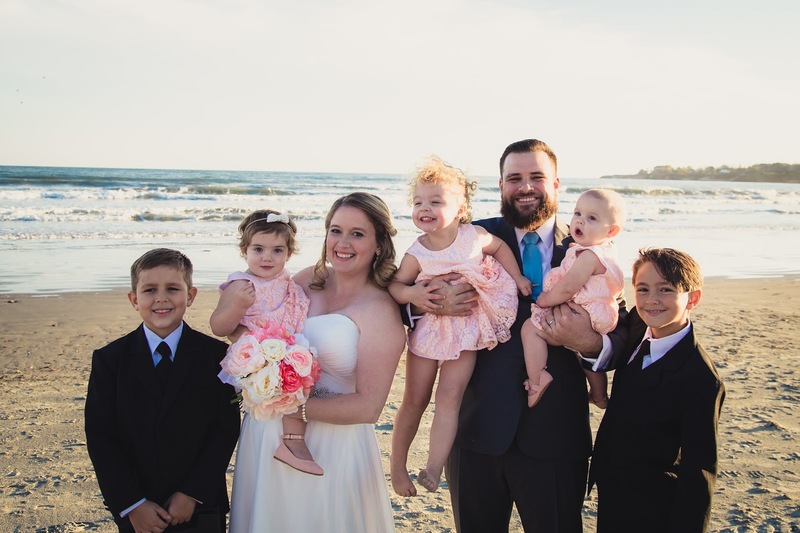 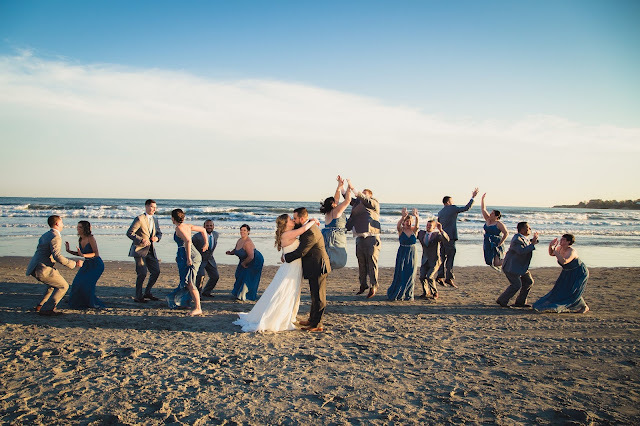 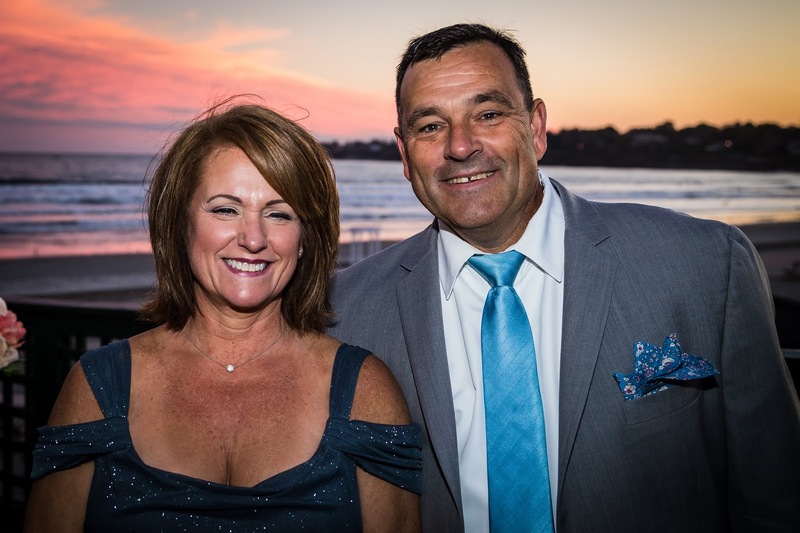 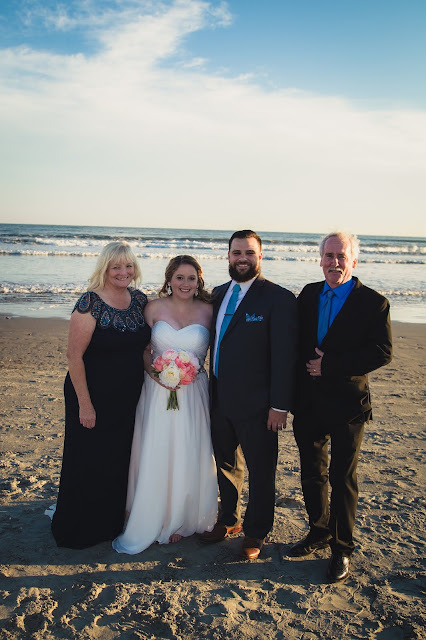 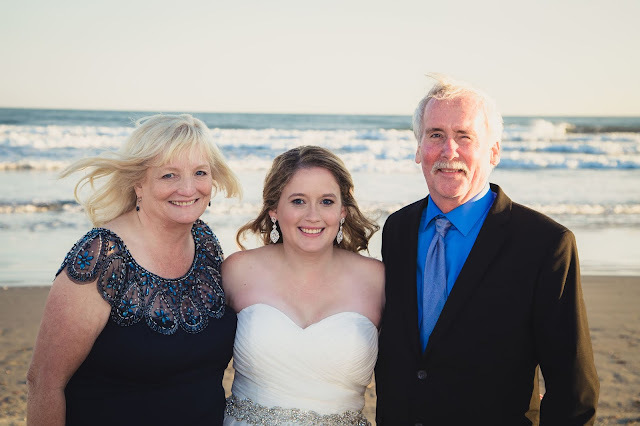 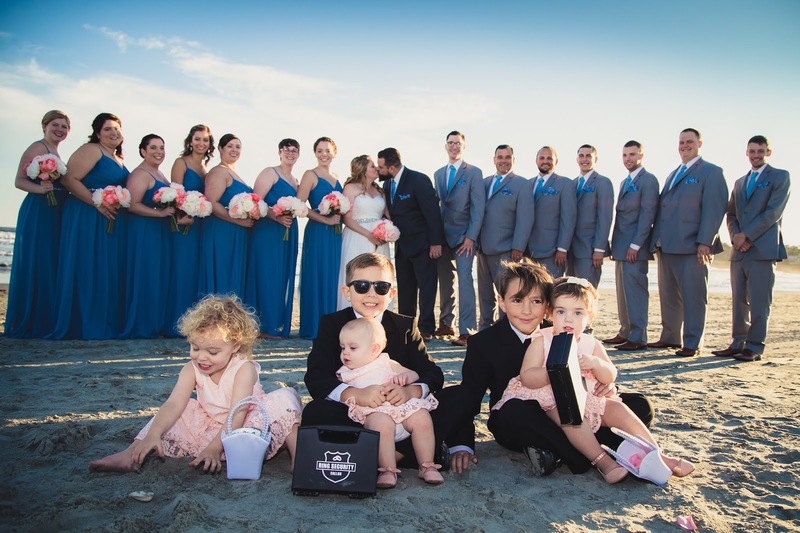 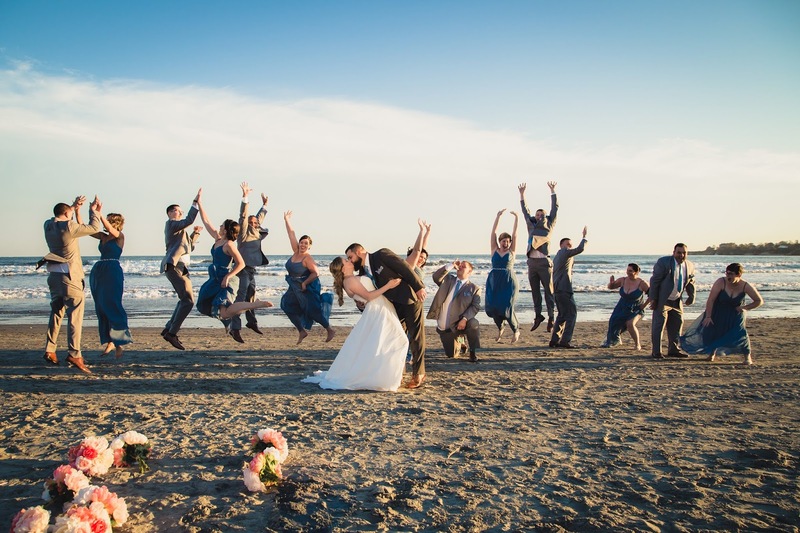 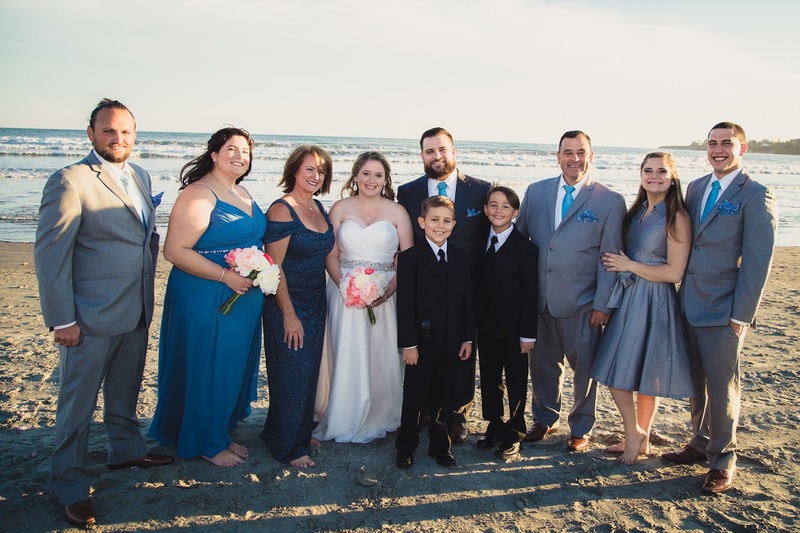 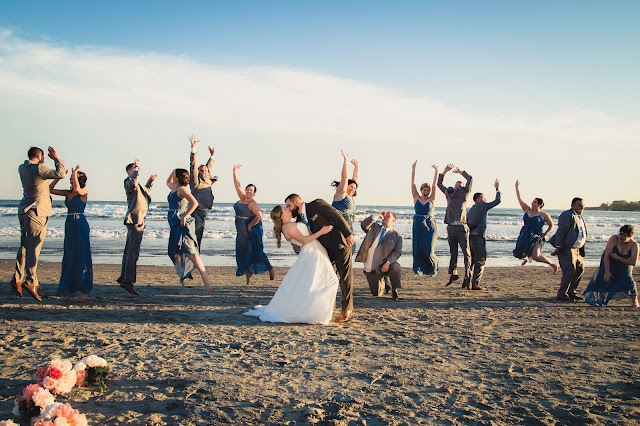 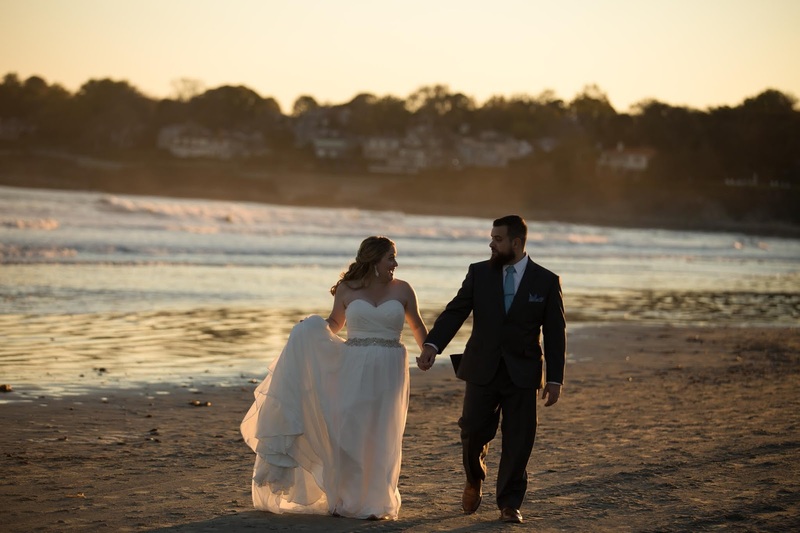 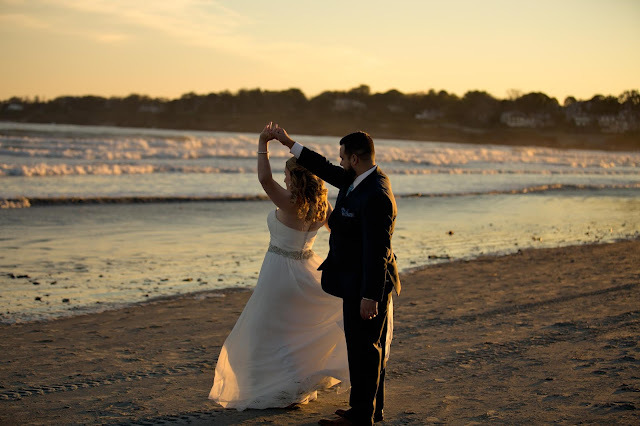 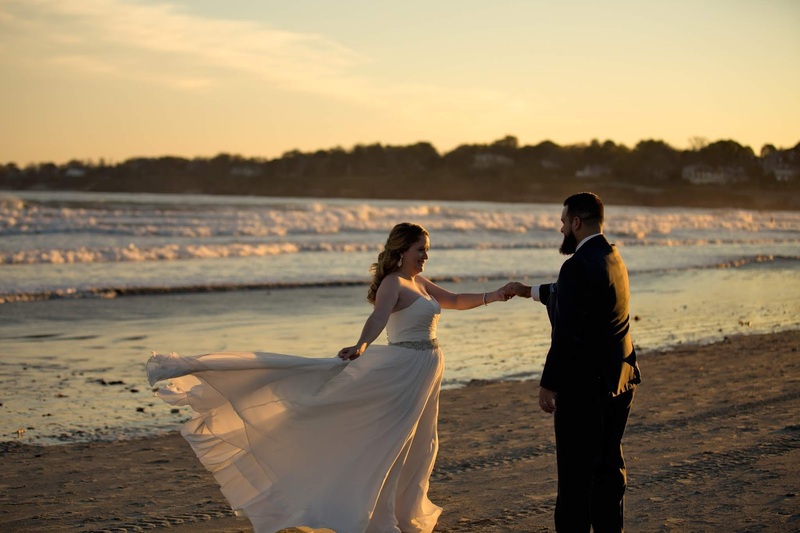 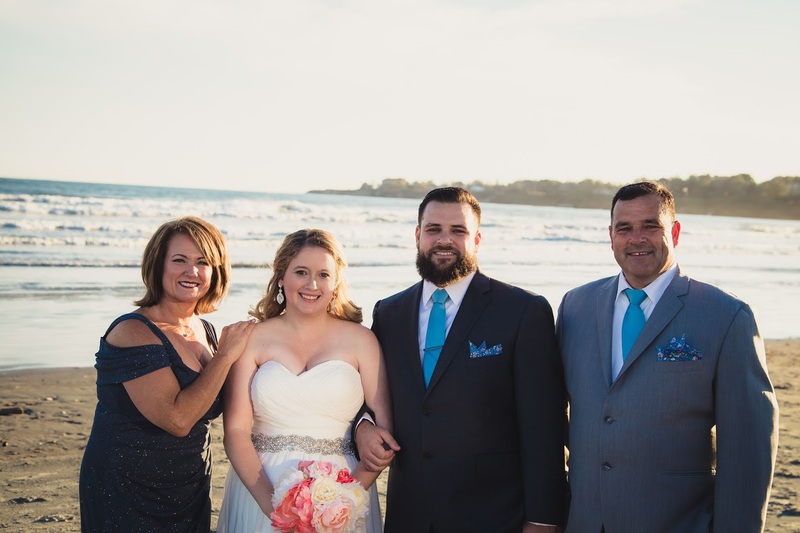 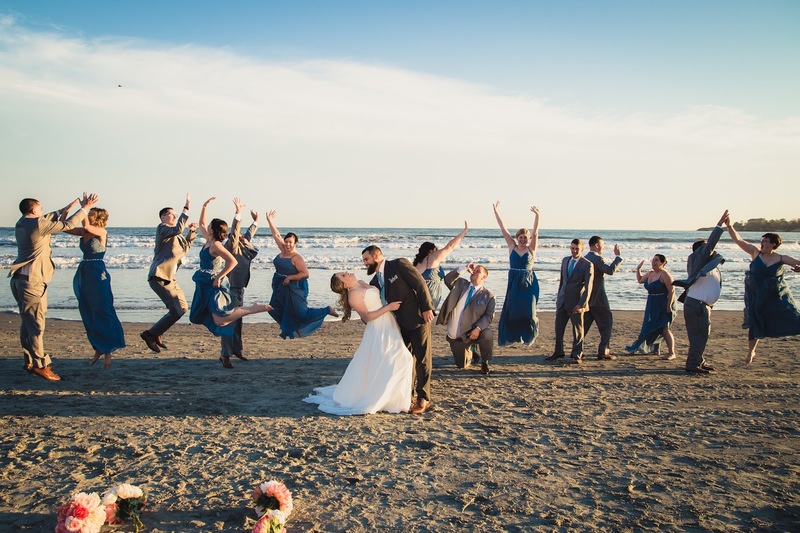 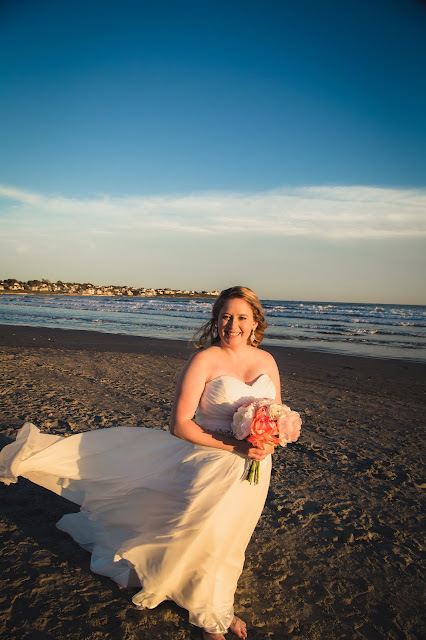 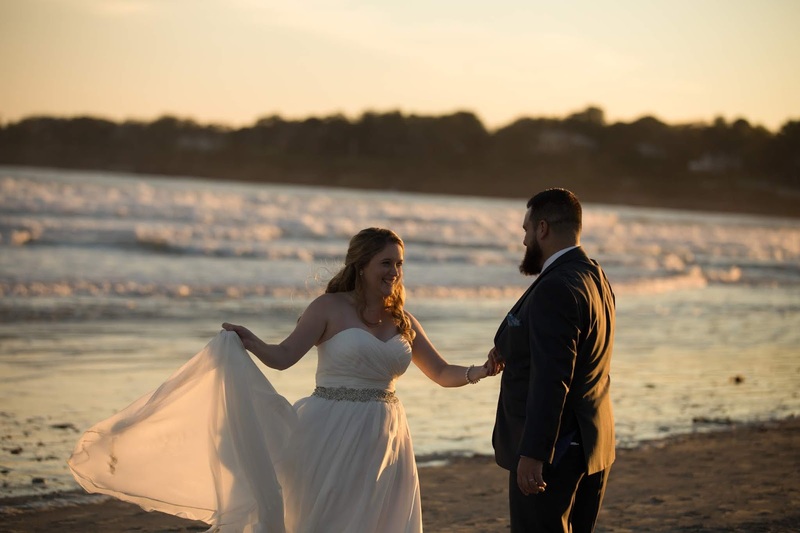 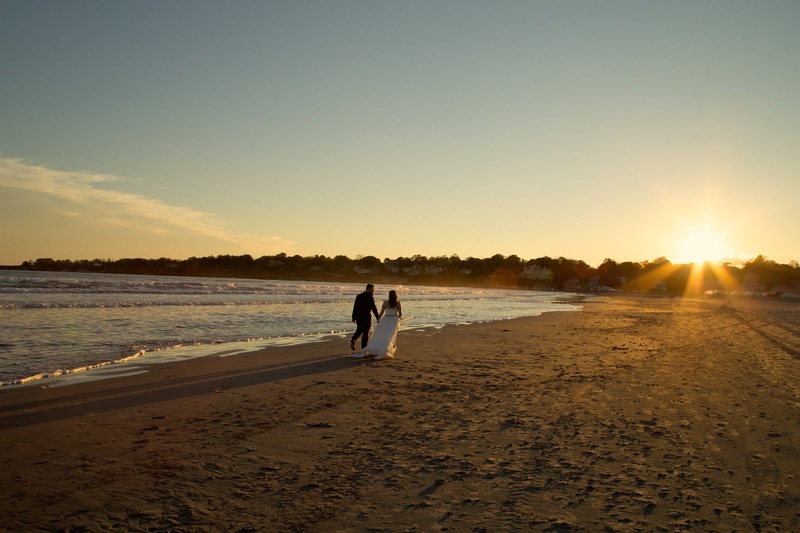 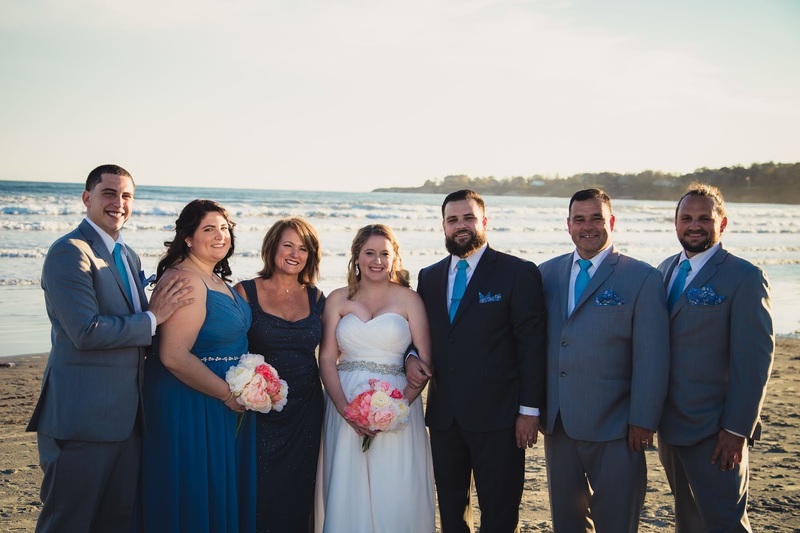 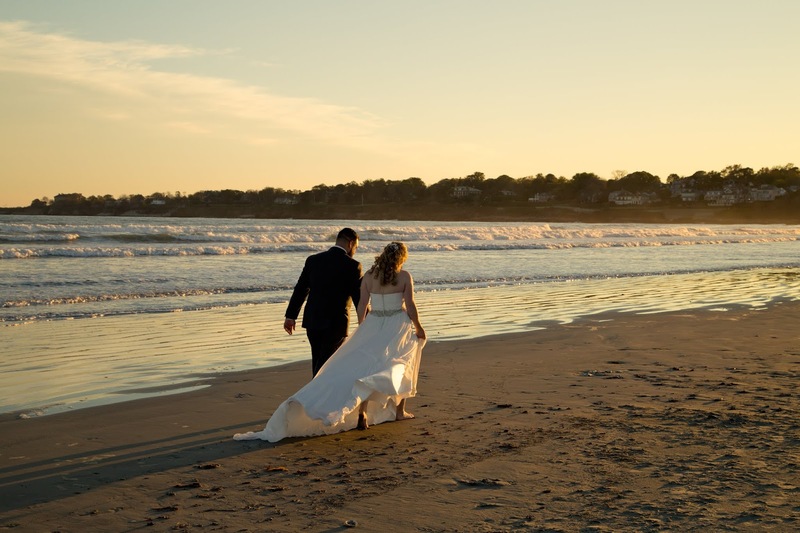 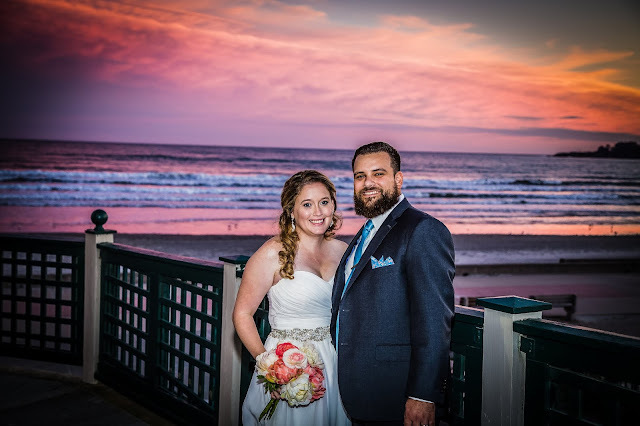 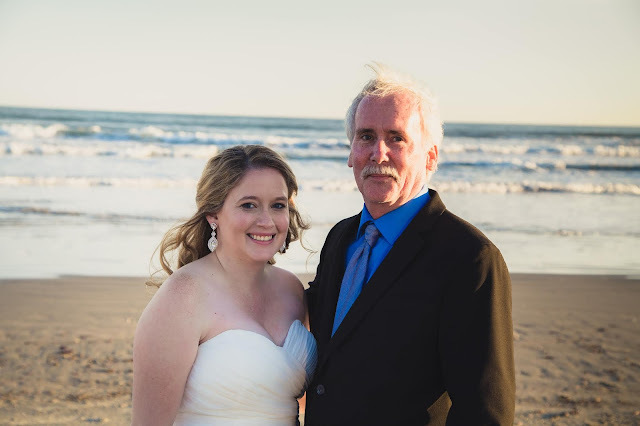 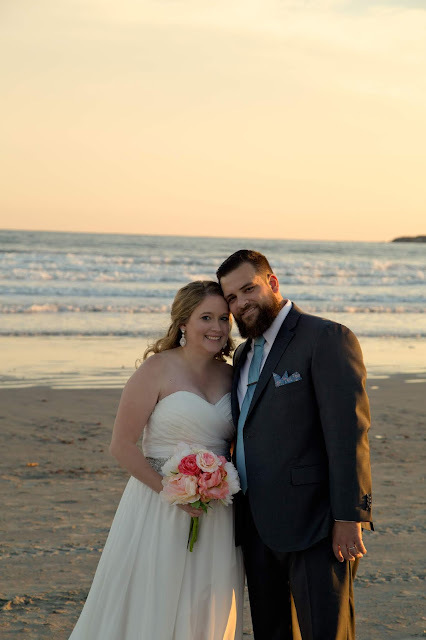 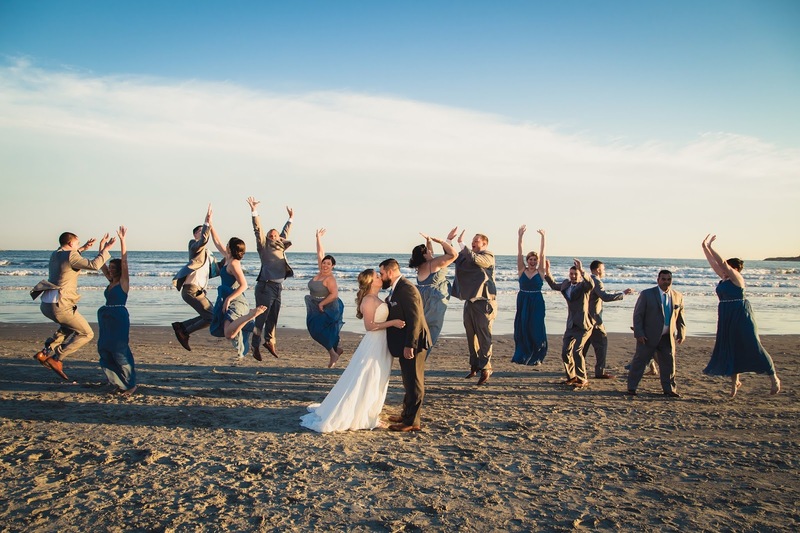 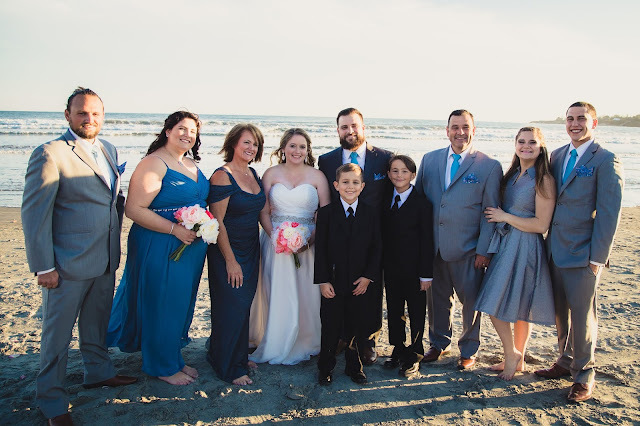 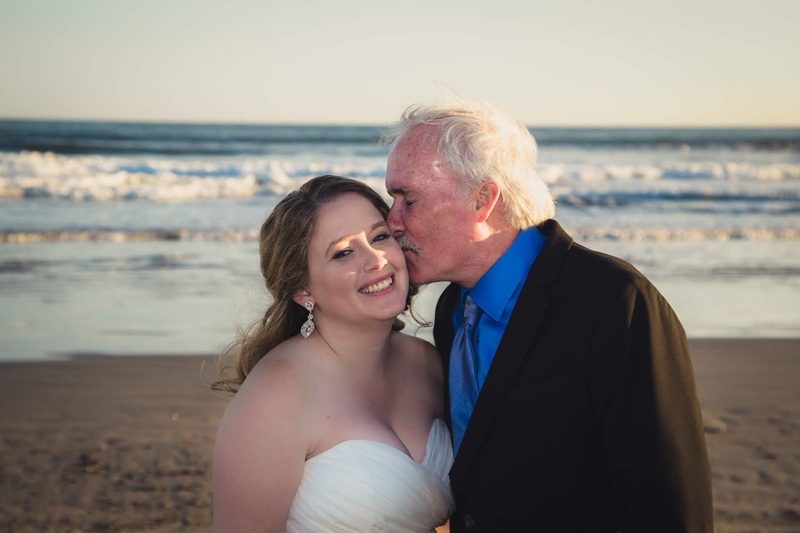 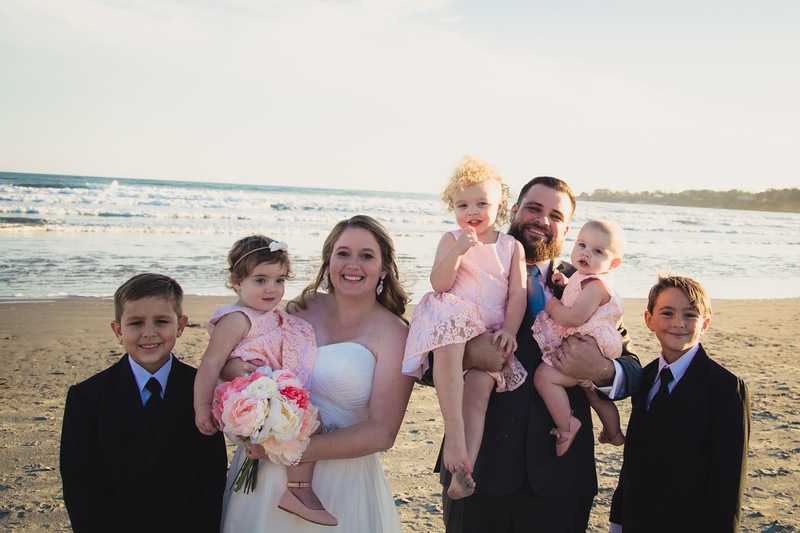 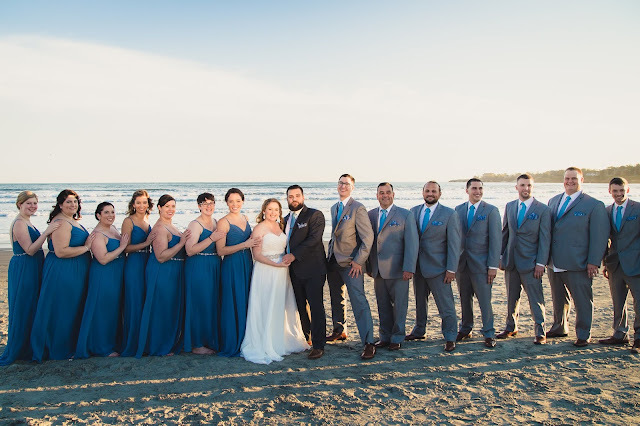 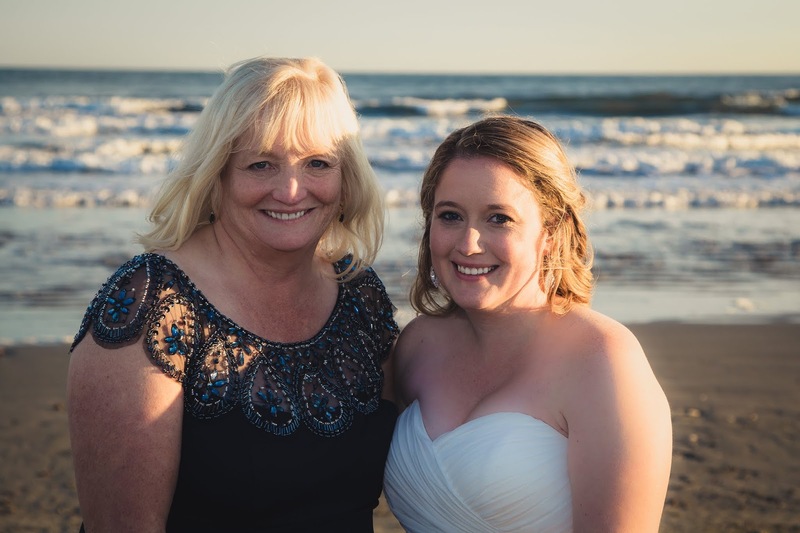 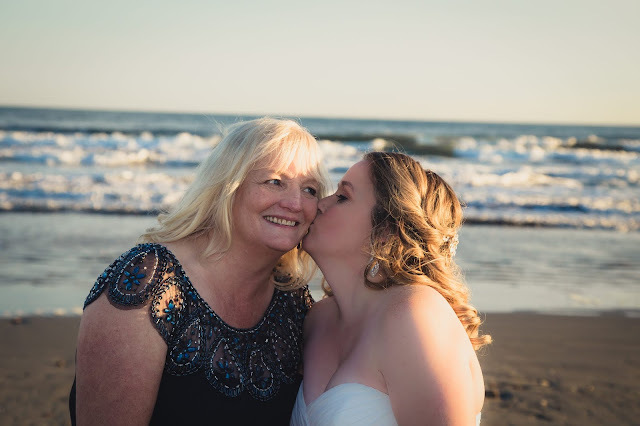 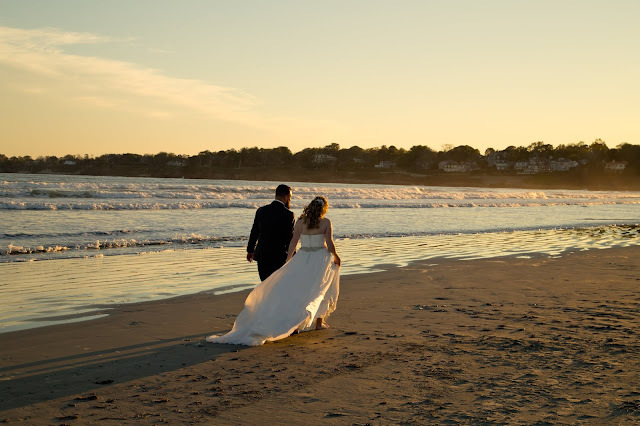 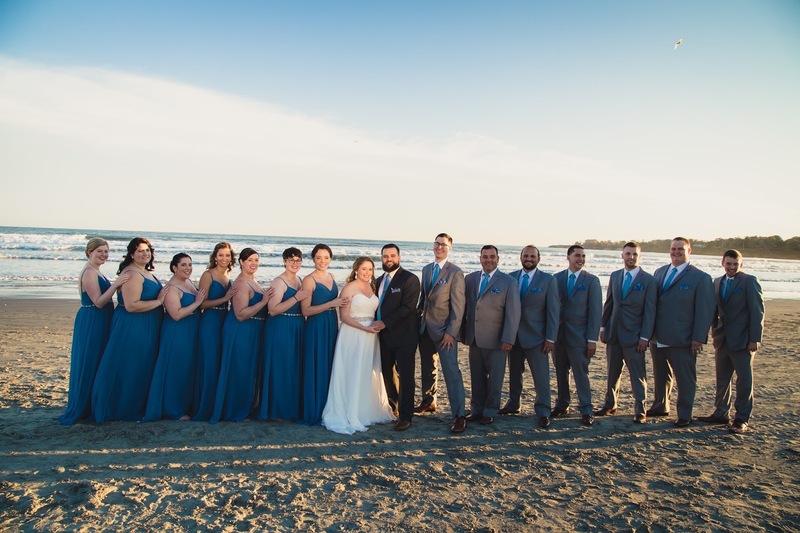 We sent our grandparents on their way so they could head into the party and took our immediate family and bridal party down to the sand for more pictures. I took my shoes off at this point, I was so done with them! 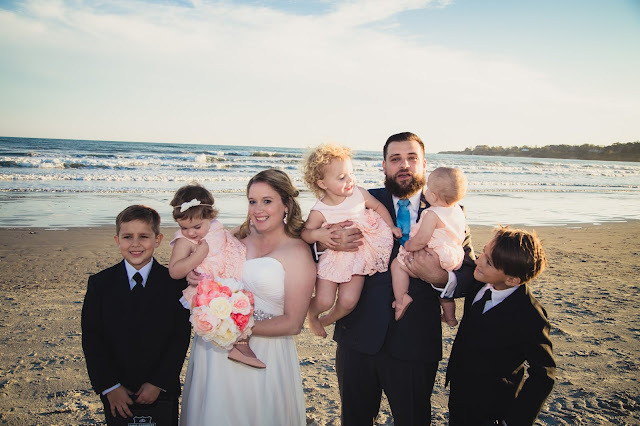 We did pictures with Tim's immediate family first and then headed right into pictures with the babies. 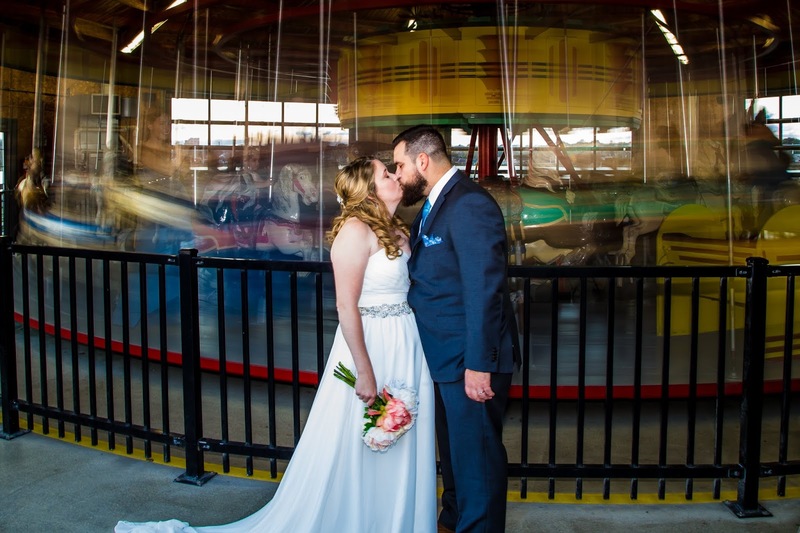 We wanted to make sure they got a chance to go on the carousel and knew if we kept them too long they would miss their chance. These are some of my favorite pictures. I love that Emma is digging in the sand and filling up her flower girl basket. 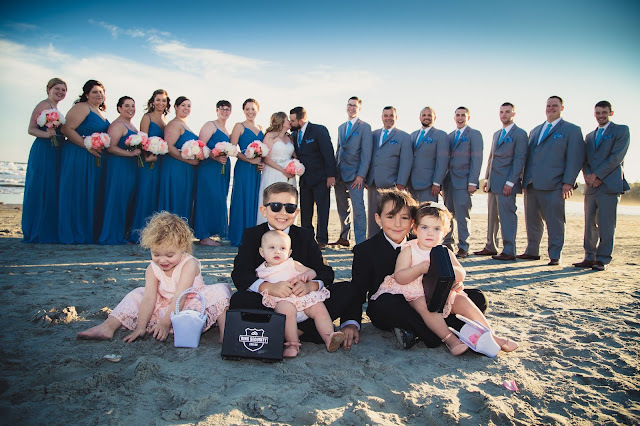 Tilly is intent on checking out Kason's suitcase and Parker is just totally relaxed in Callan's arms. 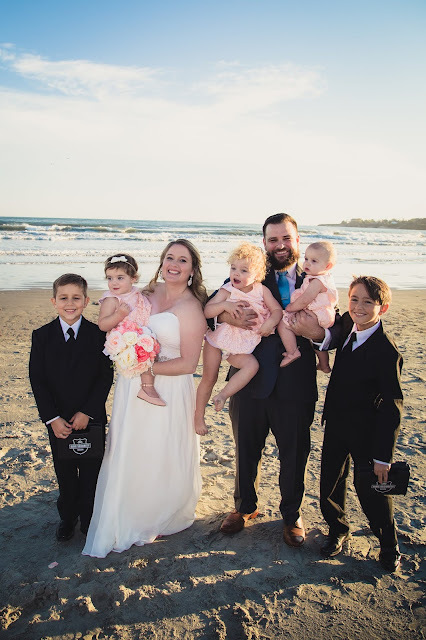 People kept commenting on how chill we were to have three kids under the age of three in our wedding but I thought it was the most fun! 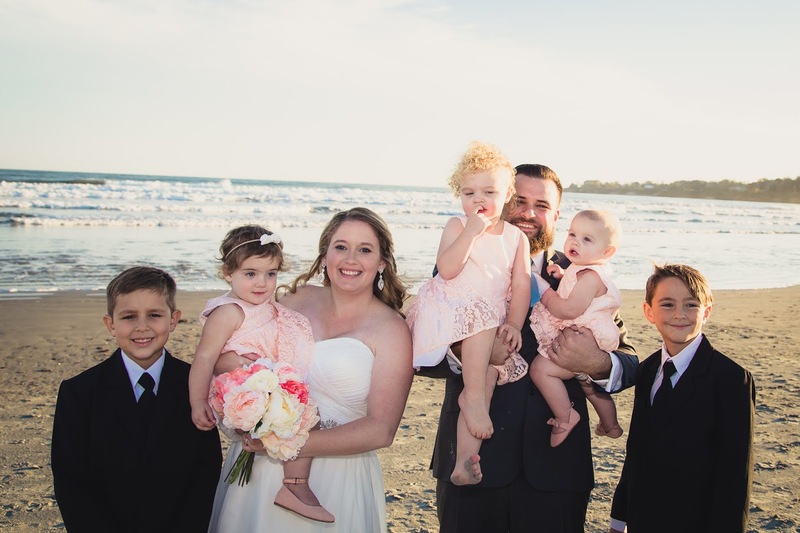 We are so lucky to have five amazing kids that we consider our nieces and nephews. 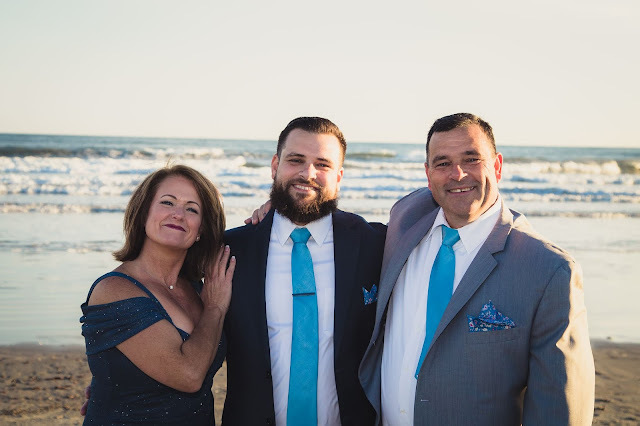 Tim's face in this is priceless. 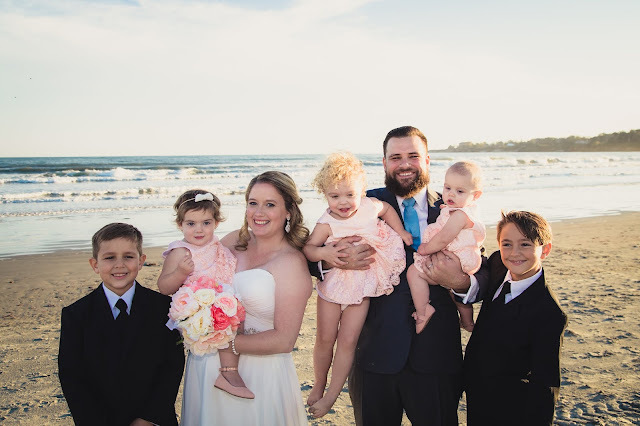 I think this is what he would look like all the time if we had five kids. When Brittni and I discussed this picture it is actually possible to have all five of these kids in one family- it would be tight and INSANE but possible. 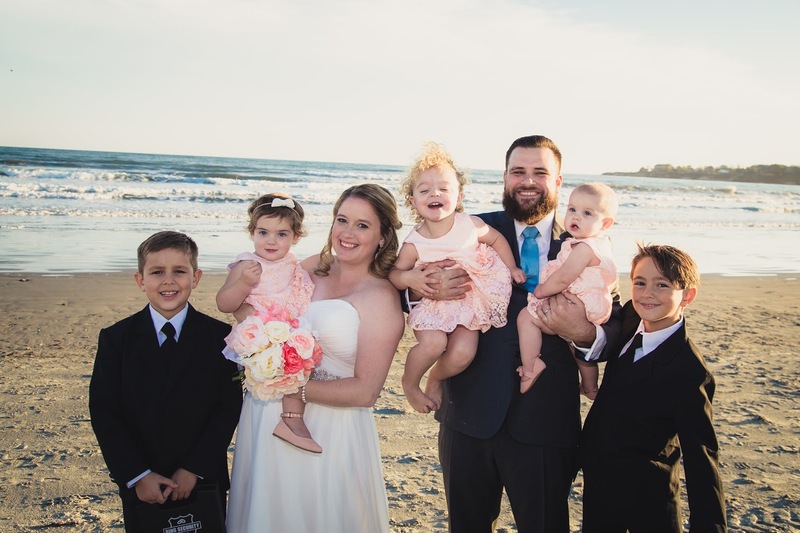 I love these kids so much! 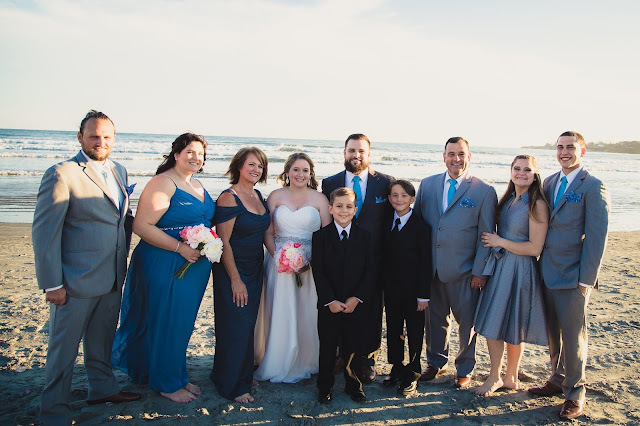 Next we took a picture with Tim's whole family. I'm so lucky I married into such a welcoming and kind family. 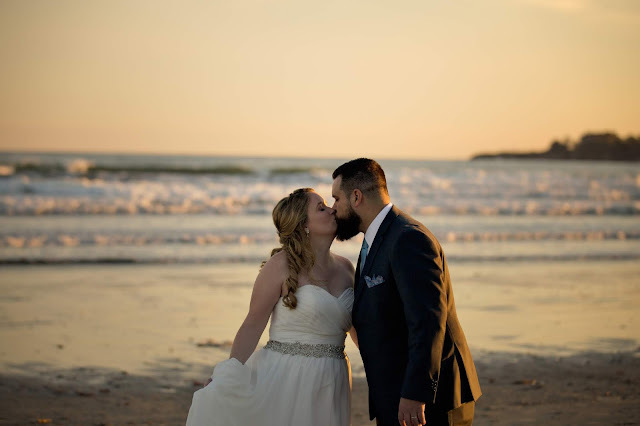 They have been so great right from the beginning. 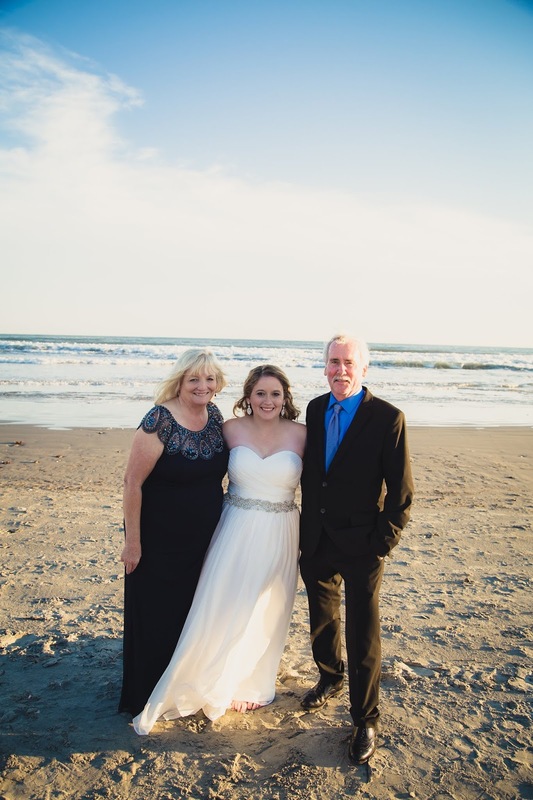 I love these pictures that Carissa suggested, taking pictures with our parents individually. 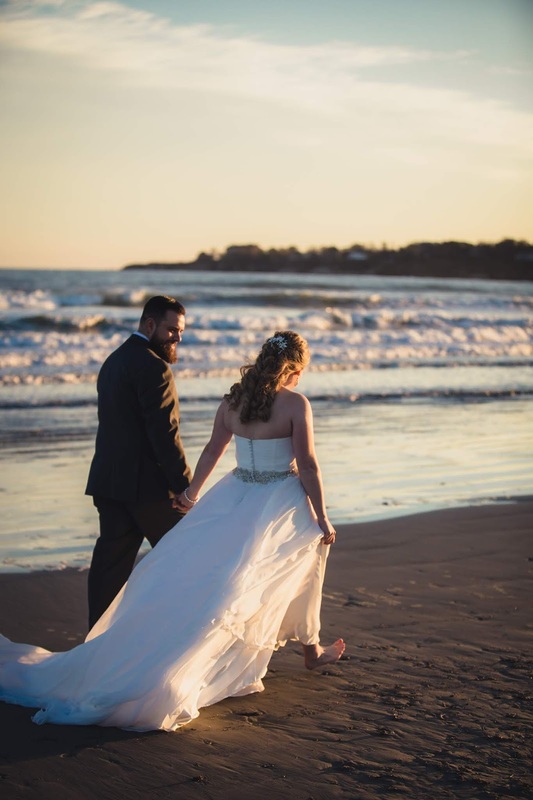 I never would of thought of these one on ones but I love how they turned out. 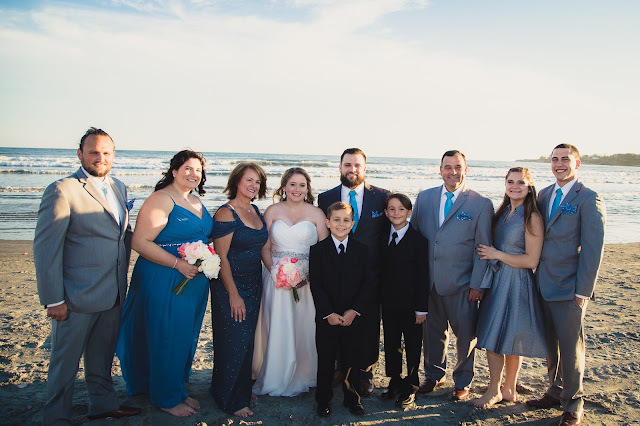 Next we had my family hop in. 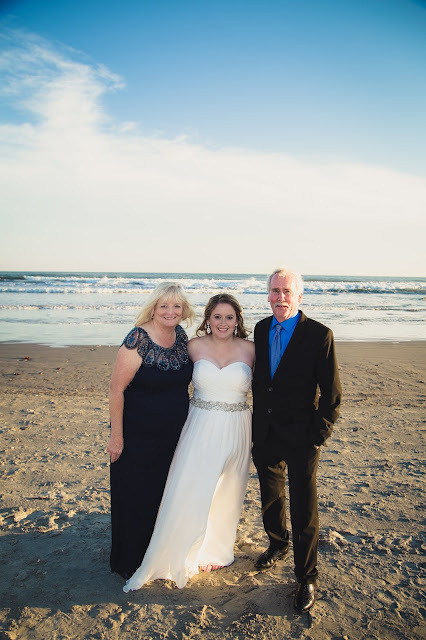 So lucky to have the best parents in the world! 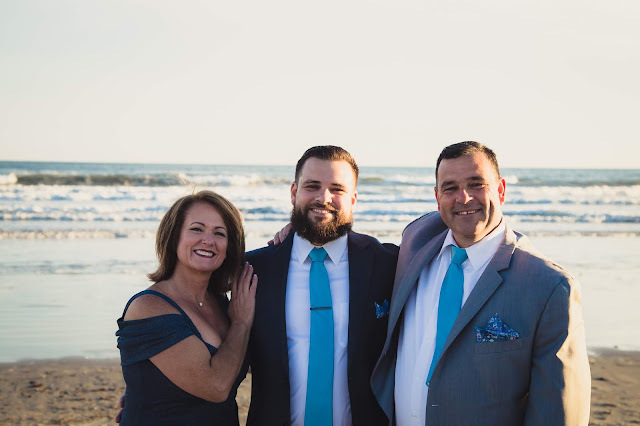 They have always been so incredibly supportive and amazing. 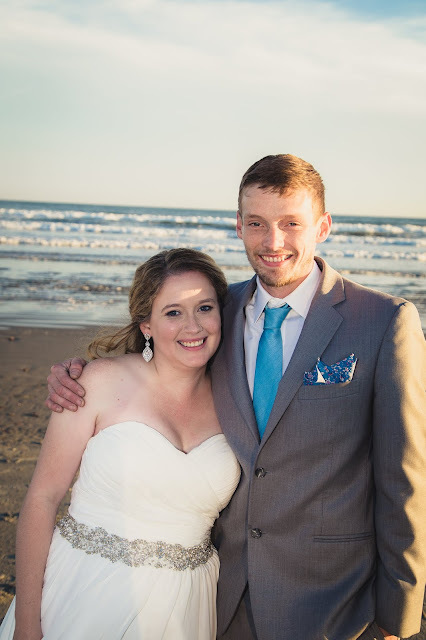 And I have a pretty great brother too! They tried so hard! 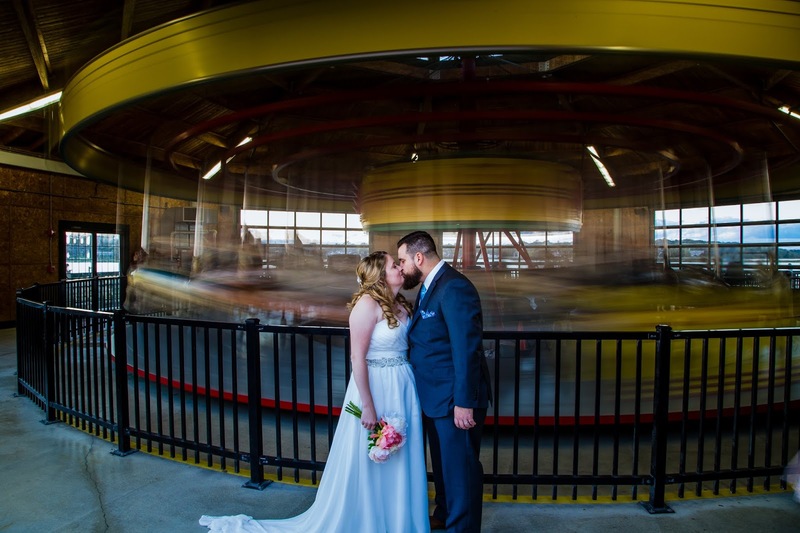 We got some pretty cool pictures out of all their attempts. We had the most amazing golden hour ever. 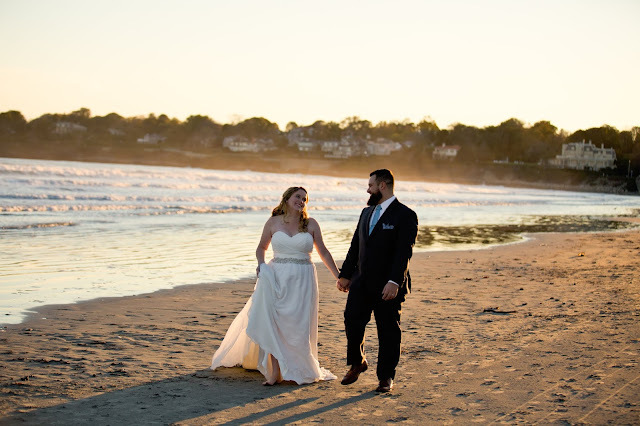 The sunset was perfect and we couldn't believe how lucky we got to have the most amazing colors in the sky. 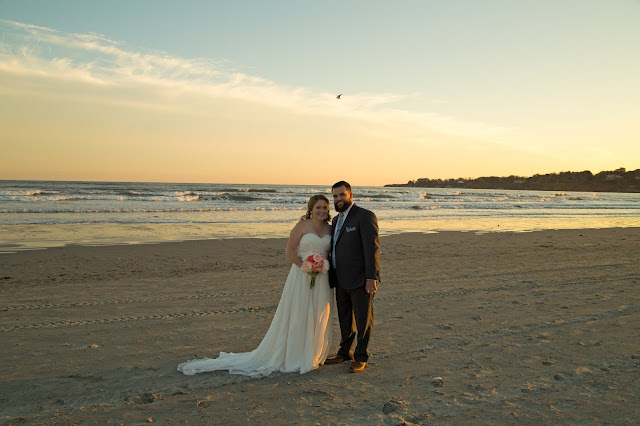 It couldn't have been more perfect of a day. 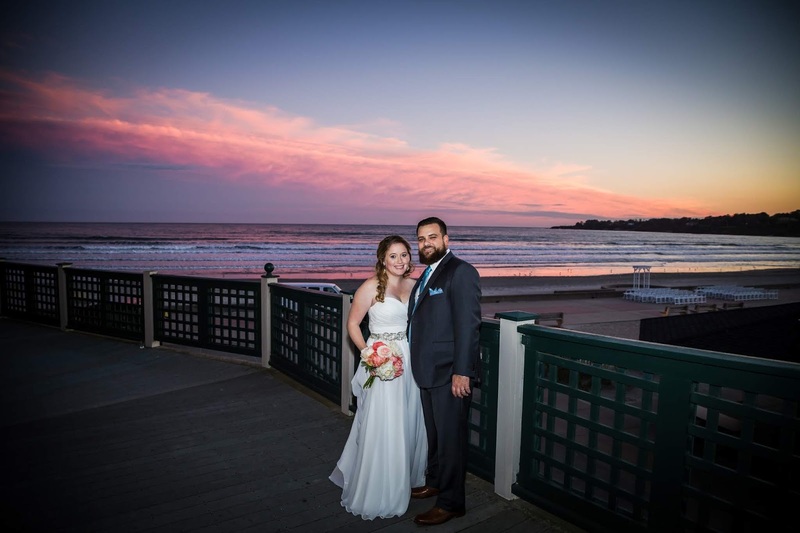 Seriously, look at that sky. We also did some pictures in front of the carousel which was super awkward since we had to hold still forever! 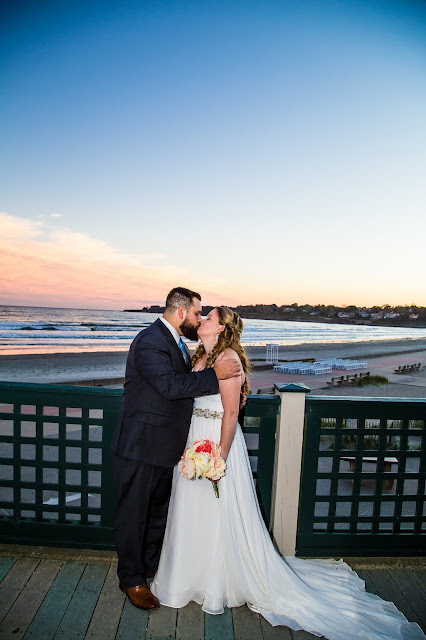 Look at that sky! 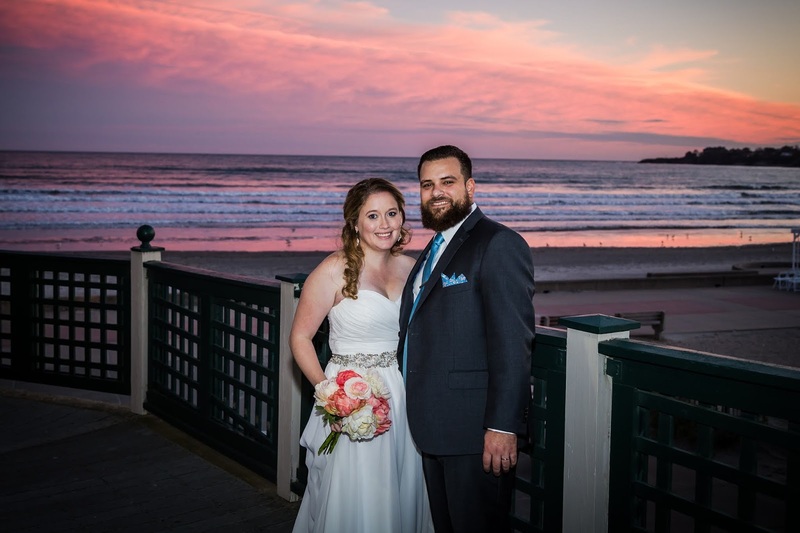 These were the legit colors of the sky that night! 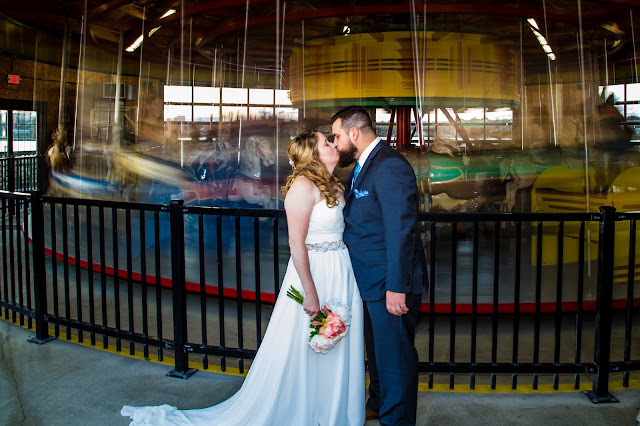 Seriously, the best day ever. 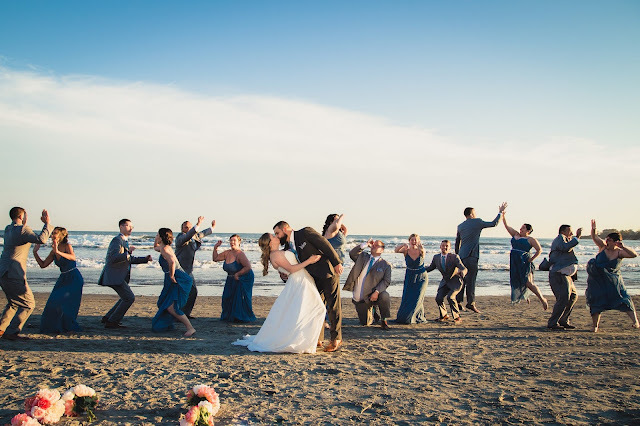 The party was just getting started too!